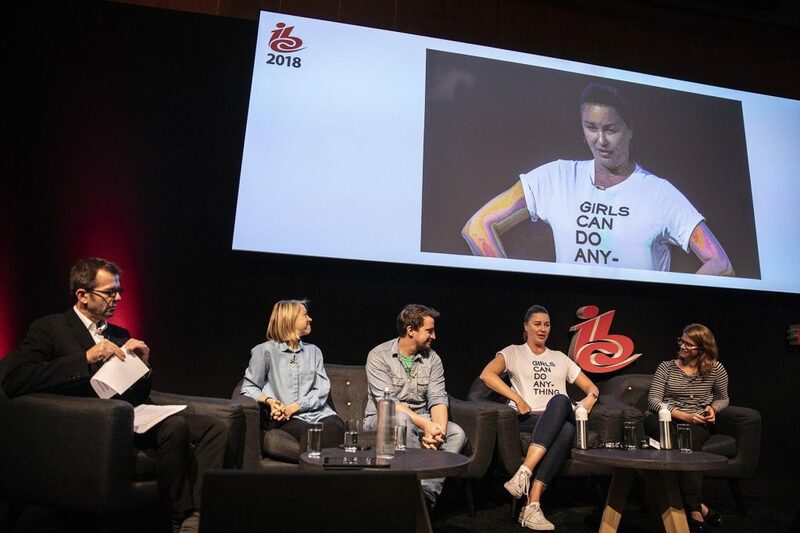 You have already been introduced to a few of the Key-Note Speakers for The Playing Human Conference in London 5-7 June 2020 and we continue to share the fantastic people in the coming months. 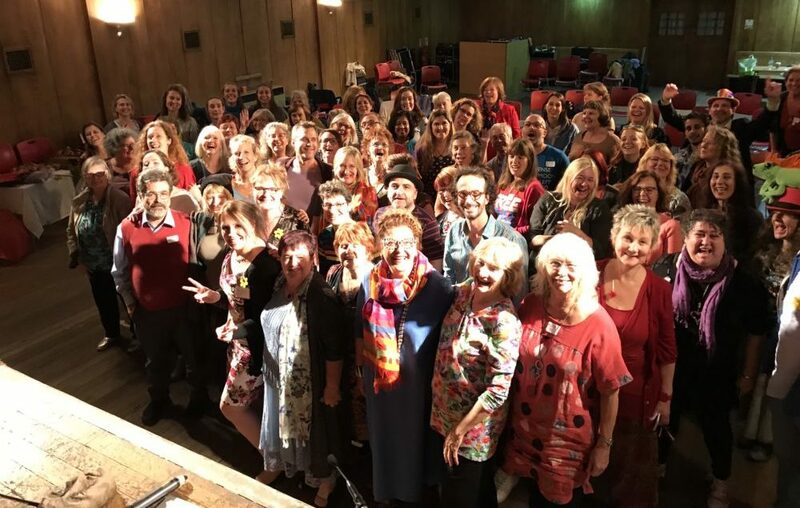 The Laughter Yoga 25th Anniversary and The Playing Human Conference in London on 5-7 June 2020 may seem a long time away but there are still many outstanding people to introduce. 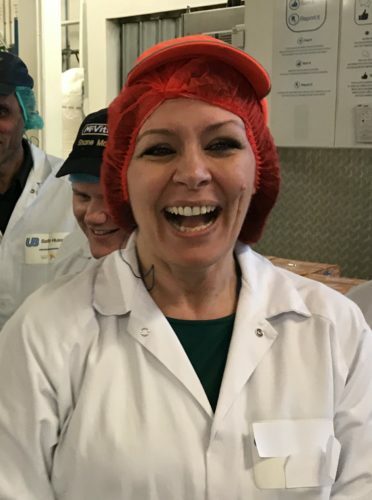 Please meet Yesim Kunter who was briefly introduced in our April Laughter News. 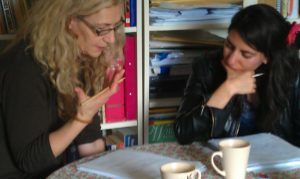 Speaking with Yesim about coming to The Playing Human Conference was great. 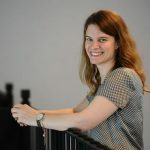 We instantly connected through our passion for playful adaptation of life and in life, and she has a real story to tell about play at work and all around. Yesim is a renowned play expert and a creative strategist, She understands behavior of people and how to create new experiences as well as opportunities within the workplace and in life outside work. As a keynote speaker she has delivered talks at conferences such as World Innovation Convention, TEDx, and the Global Innovation Forum London, an event where I will be sharing Laughter Yoga this year in November. 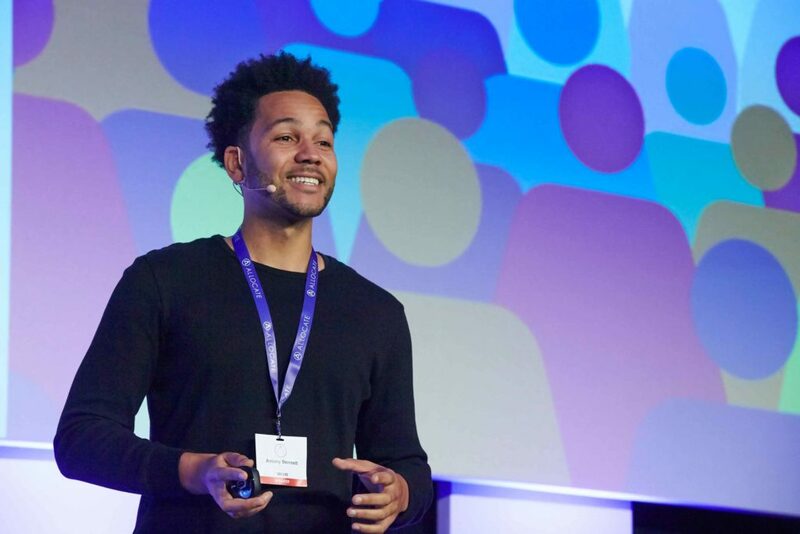 With a background in large international toy companies such as Toys R Us, Lego and Hasbro Yesim will certainly be able to share something about playing with us all at The Playing Human Conference. “If we allow ourselves to Play and have Playful Minds, we will make better connections”, Yesim Kunter. 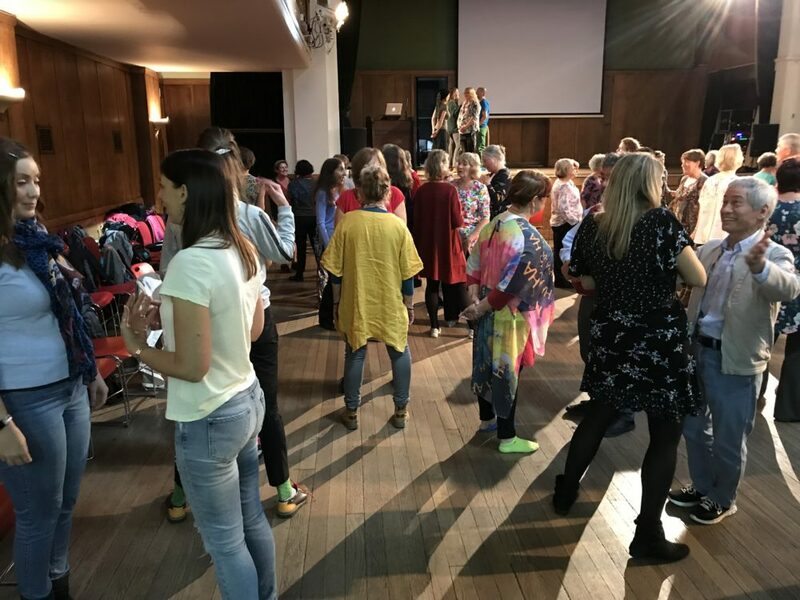 The Playing Human Conference takes place at Conway Hall in London on 5-7 June 2020. Book on https://www.unitedmind.co.uk/product/the-playing-human-conference-2020/. 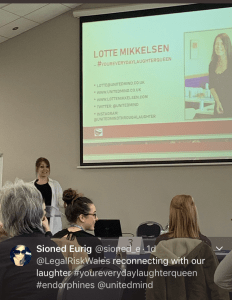 The Accredited Training Formula – approved! There is so much room for Laughter Yoga for teamwork, stress management and workplace wellbeing as well as for real personal life changes, and March was busy as if there was no tomorrow with events in London, Manchester, Cardiff and Leicester – to mention a few locations we have travelled to on our mission to share laughter. 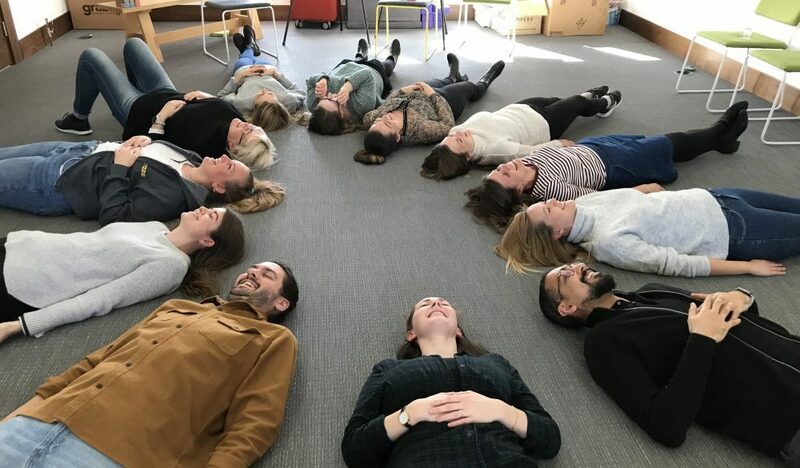 In April we share laughter during National Stress Month as well as throughout the month in many locations around the UK and London in workshops and training events. 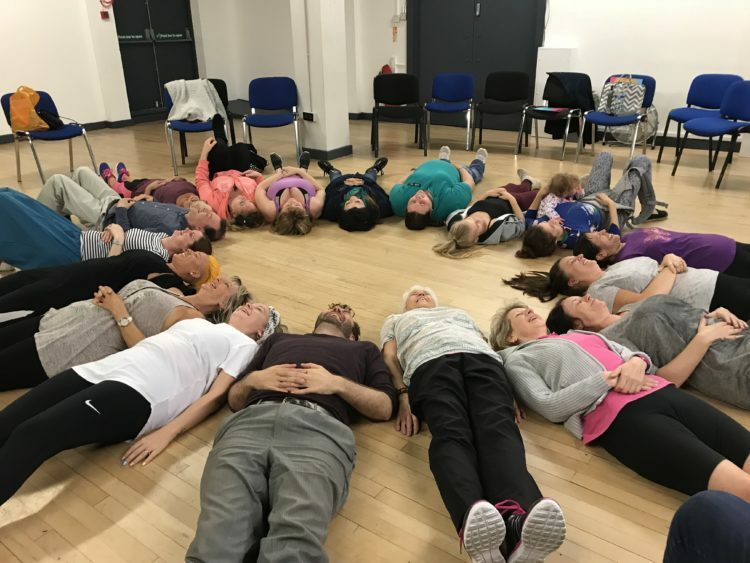 Please remember that UnitedMind has the largest network of Laughter Yoga Partners in the UK and we always do our best to find a good day, time, and a great Laughter Facilitator so please look beyond our diary when you are looking to organise a Laughter Workshop for your group. We also work with some outstanding partners who are second to none at organising corporate wellbeing, team and stress management events, ask us and they step in to plan and bring it all together for your group together with you. No distance is too far for sharing laughter and positive change. 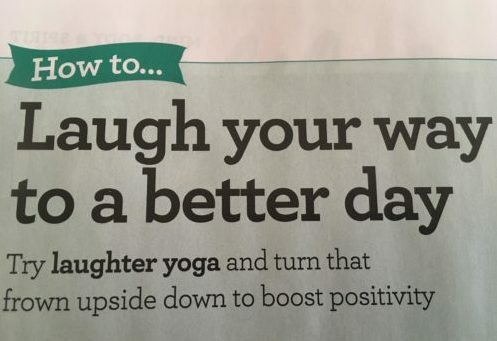 I had a thought about the change that Laughter Yoga represents – to me, anyway. When you laugh you change, and when you change the whole world changes was said by Laughter Yoga International Founder, Madan Kataria, many years ago. Being on the Laughter Yoga change-train I know this is true, and I also believe that if you still have the same perspective and hold onto grudges and shortcomings, it may mean that you are not practicing what you teach and simply not laughing enough – at yourself and with yourself. 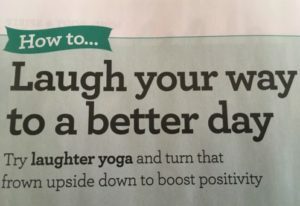 It is easy to pretend to smile more, eat less, laugh more, get less angry, exercise more, be nicer and so on, but if it is only a pretence then it never creates the true change that actually is available to anyone who practice Laughter Yoga daily. I am not saying it is easy to stick to and if you give up it really is all it is, giving up, so don’t beat yourself up on that account. Pick it up again and just do it (like NIKE says), just do it! Create a structure to support you – I did. In 2008 when I started The Telephone Laughter Club I was looking for a way to support myself in laughing every day to beat the potential effect of MS relapses. Speak with me about your laugther plan! March was another month that changed many perspectives for me through sharing laughter with you and many private and corporate clients. 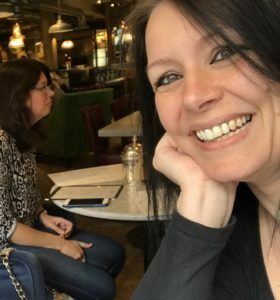 Thank you for your laughter, I am truly grateful for the opportunity to connect in mirth! The Playing Human Conference – on its way! A great line up is waiting to be introduced. We started in February when we introduced The Miracle Man, Ant Bennett, and last month you met the YES Man, Dave Cornthwaite. In April we are really excited to introduct Play Expert, Yesim Kunter. 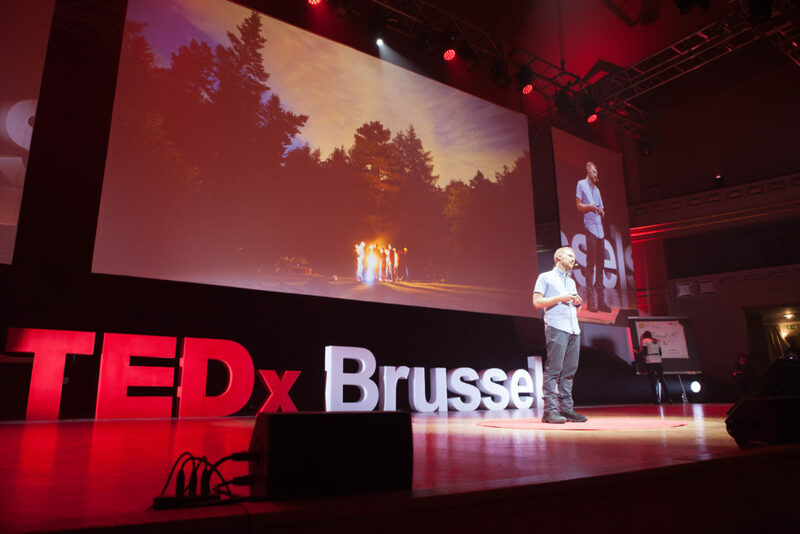 Yesim Kunter is a renowned play expert and a creative strategist who understands behavior of people and how to create new experiences as well as opportunities. 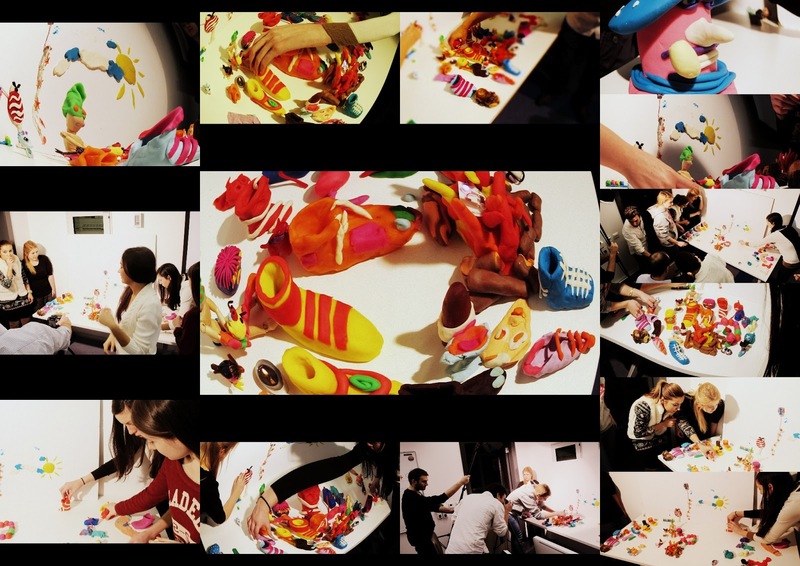 As a consultant, Yesim develops “playful” experiences for Fortune 500 Companies, universities, and communities by applying ‘Play Philosophy’ to products, environments, communities, culture creation as well as market research with future scoping. 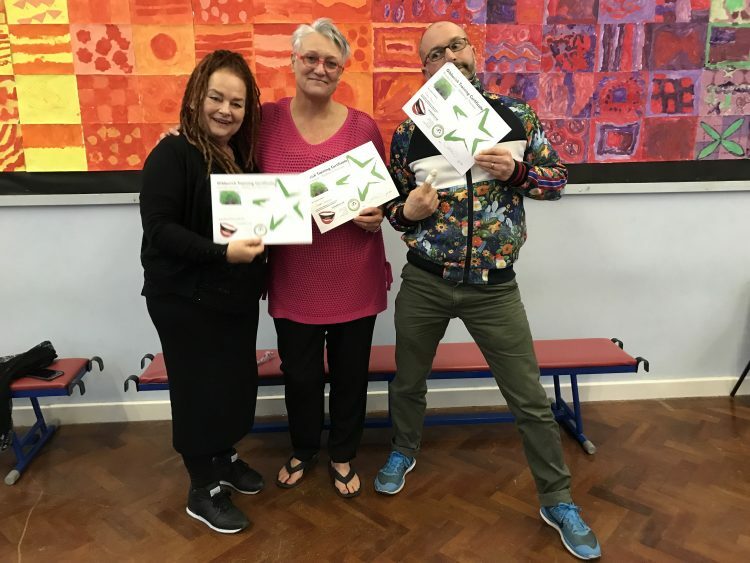 Yesim has facilitated numerous successful ‘PlaytoInnovate® Workshops’ in training organisations with diverse backgrounds from children to professionals for stimulating creative thinking. As a keynote speaker she has delivered talks at conferences such as World Innovation Convention, TEDx and the Global Innovation Forum London, an event where I will be sharing Laughter Yoga this year in November. 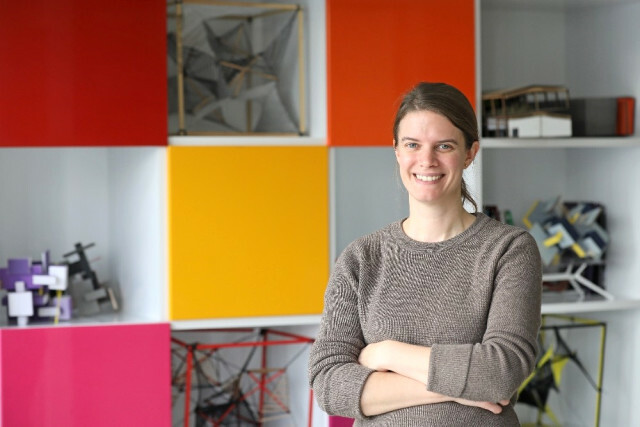 With a background at Toys R Us, Lego and Hasbro Yesim will certainly be able to share something about playing with us all at The Playing Human Conference. There is much, much more to come when her profile airs later in April! Read more about Yesim on yesimkunter.com. Did you notice who else is coming? These truly motivational people are not only there to talk, they are coming to inspire and move us all with playfulness and attitude! 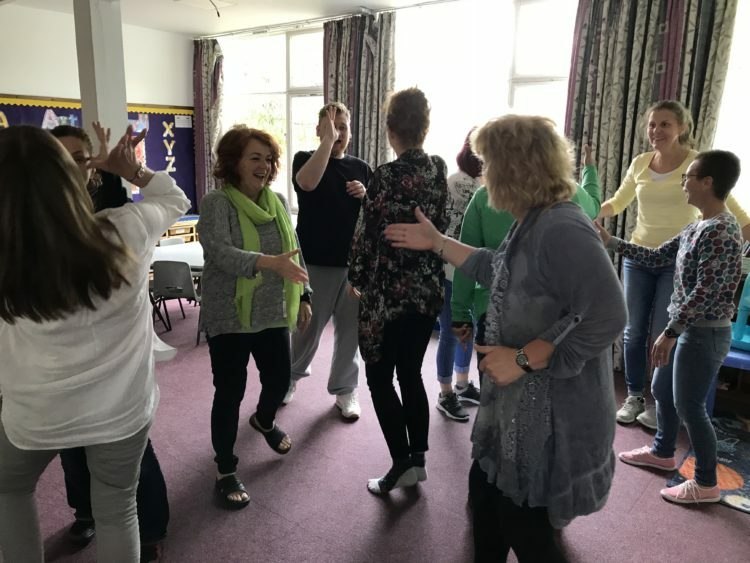 Please get in touch about The Playing Human Conference & Laughter Yoga 25th Anniversary, our courses, workshops, conferences, laughter clubs and other events via email, info@unitedmind.co.uk, phone 0800 1214 714 or mobile 07736 341 717. 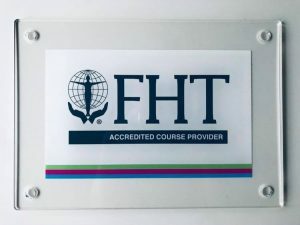 It was with great excitement I opened the package from FHT and retrieved the certificates for training courses for Accredited Laughter Yoga Leader, Accredited Laughter Yoga Teacher, Accredited Laughter Yoga Coach, and Accreditied Laughter Therapist along with the Accredited Training Provider sign. That was a sentence almost abusing the word ‘accredited’. 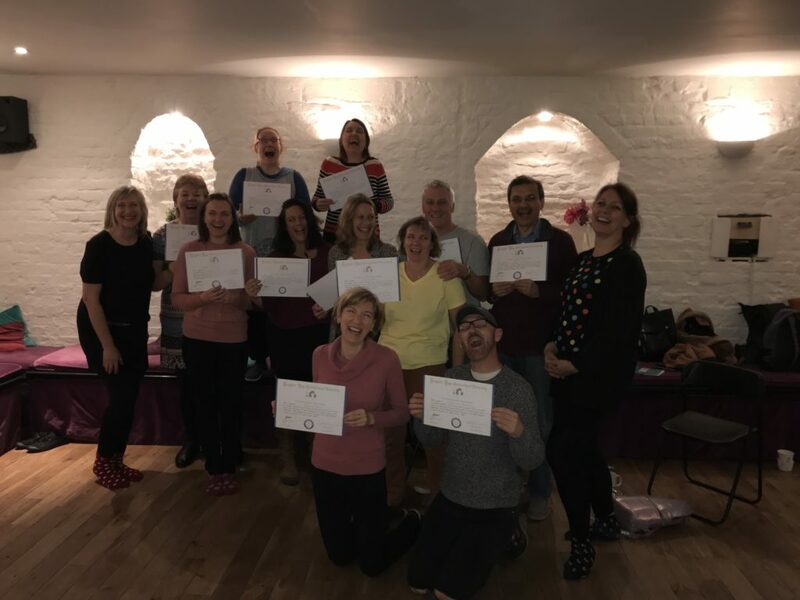 Since I started teaching Laughter Yoga Leader Training in 2007 I have wanted to take the training to a different level with quality marks and standards that raise Laughter Yoga to being acknowledged as REAL adult education. 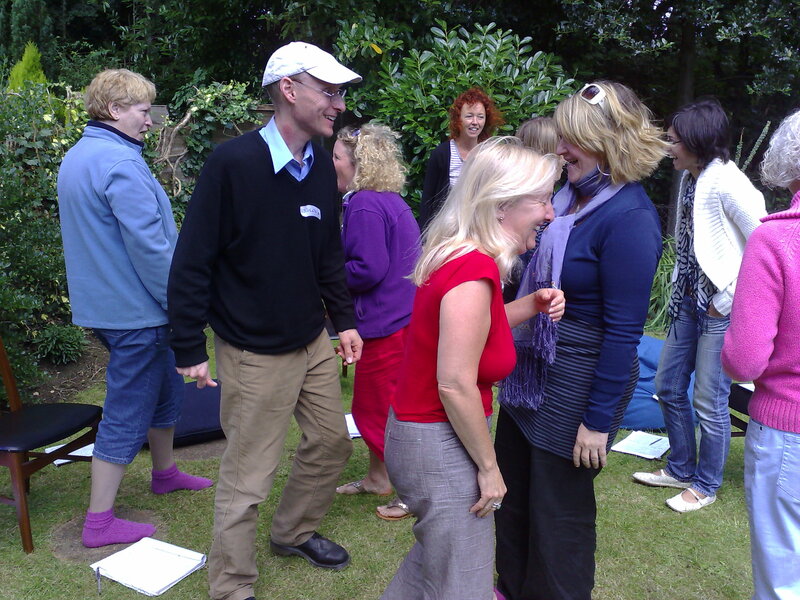 Laughter Yoga has become a choice for stress management and team building events with groups, as well as being a tool for one-on-one coaching, for personal and professional wellbeing. With the Accreditation acceptance it “blue-stamps” the method as an approved skill for life and for work. 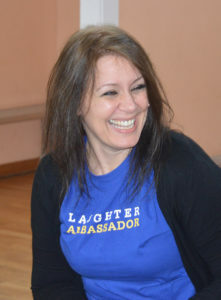 Look for an Approved Trainer for your Laughter Yoga course when you choose the provider for yourself or for your team. Approved Trainers have a whole range of professional certifications including First Aid training as well as personal and interpersonal skills that are key to teaching Laughter Yoga. 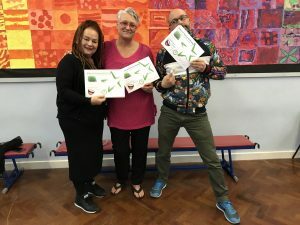 They not only know it works, they experience the benefits daily, AND they undertake regular continued professional development to keep their skills up-to-date and fresh. Read more about the benefits of Accredited Training and requirements on https://www.unitedmind.co.uk/courses/accreditation-and-certification/. 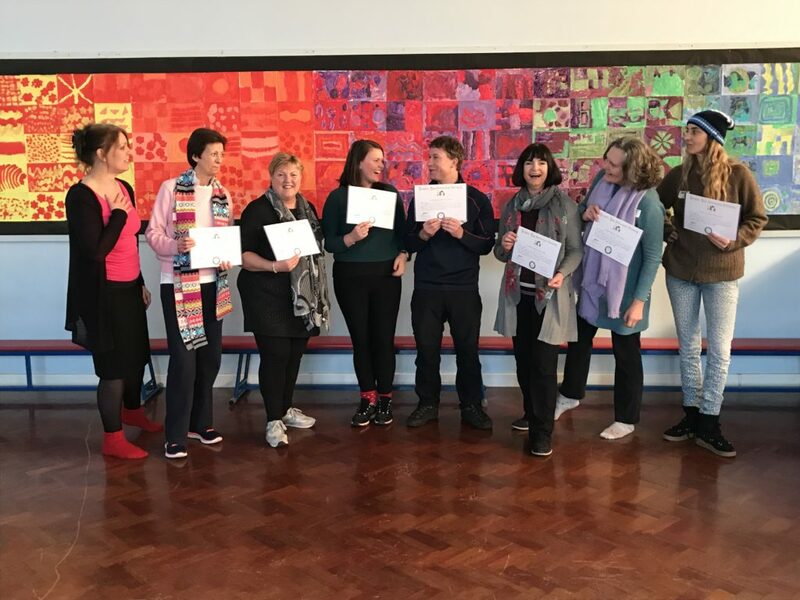 If you would like to know more about Laughter Yoga and Laughter Therapy training and workshops please contact us via email, info@unitedmind.co.uk or mobile 07736 341 717. The courses are continuing to fill with laughter-willing people and the Laughter Yoga Leader Training in London on 25-26 April only has 3 more spaces available to book, the Laughter Yoga Leader Training in Preston on 2-3 May only has 2 spaces left. 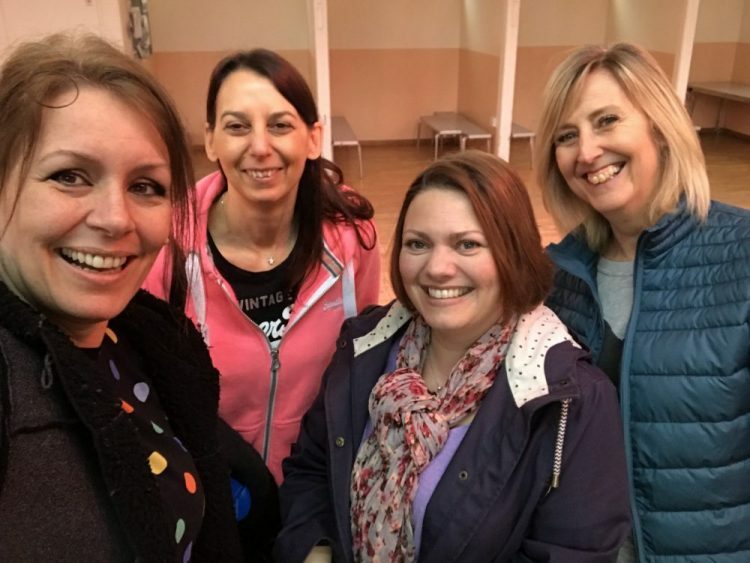 However, there are many dates to choose between as long as there are spaces available in London, St Albans Preston, Durham and for your own group we can organise dates to suit us all. Dates for scheduled training are listed further down the page. The 2-day Laughter Yoga Leader Training is now accredited which means there are a few extra requirements, although you can still choose to receive the standard certificate without the Accreditation Status. It may seem a lot but it really is not that much. You can read more about why it is a good idea with Accreditation on https://www.unitedmind.co.uk/courses/accreditation-and-certification/. 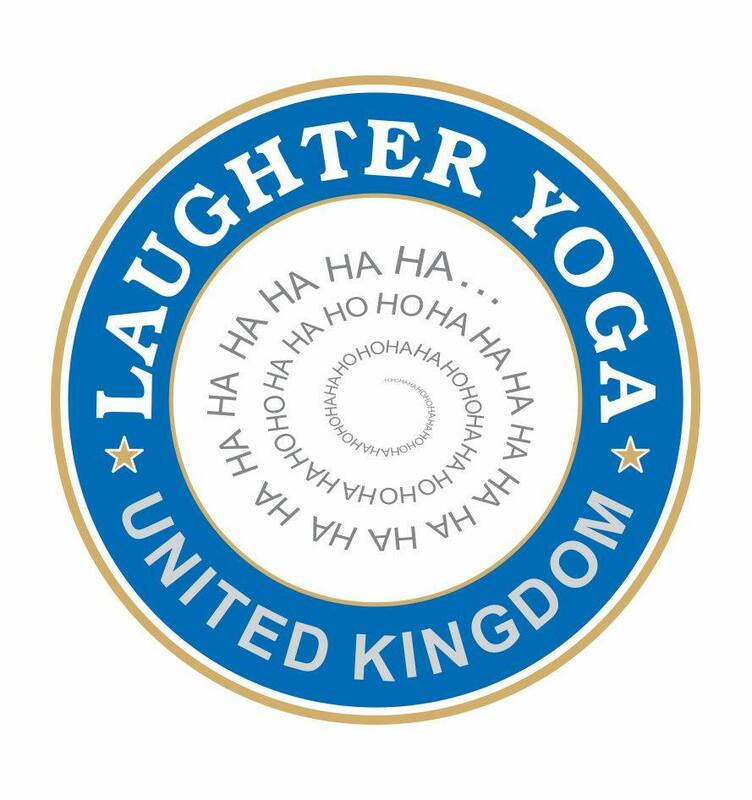 Please get in touch about our 2-day Laughter Yoga Leader and 5-day Laughter Yoga Teacher courses, and other events via email, info@unitedmind.co.uk, phone 0800 1214 714 or mobile 07736 341 717. 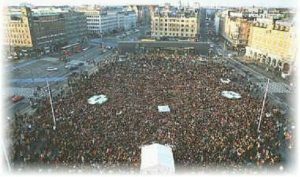 It has been 21 years since the first World Laughter Day was celebrated in India, 19 years since I first experience World Laughter Day on the first Sunday in January 2000 in Copenhagen, and 14 years since The Laughter Club in St Albans first celebrated World Laughter Day on the first Sunday in May. 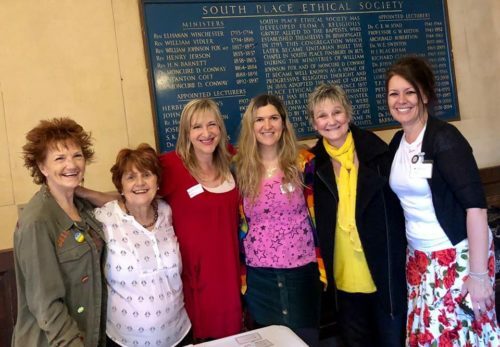 Those are just a few past years and we are really chuffed to be celebrating another World Laughter Day in St Albans on 5 May 2019 jointly with over 100 countries around the world. Please join us in Wadley Hut on 5 May 2019 at 1pm to 2:30pm for a bit of laughter and celebration fun. A reminder that we meet and share laughter in the 1st St Albans Scouts Wadley Hut in The Laughter Club International (UK) in St Albans on Sunday 7th April at 1pm-2:30pm – please do join us! So exciting that we were joined in February by Orlando and Radwa who are MA Student at University of Westminster doing a radio project. 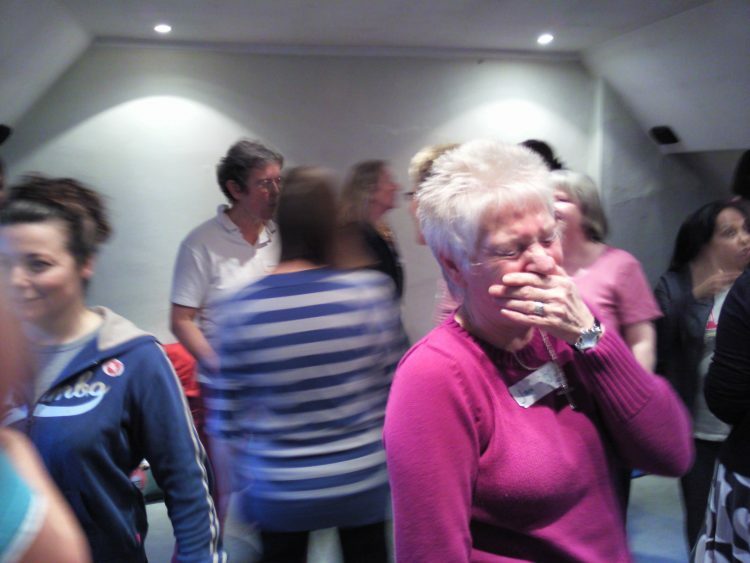 There are over 110 Laughter Clubs in the UK with their own webpage where you can find details. 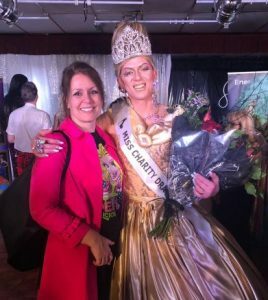 The first Miss Drag UK event and Miss Dee aka Mr dod aka Laughter Yoga Teacher Kevin dOdemont goes on to win the title of Miss Charity Drag UK. In the end there is always Laughter Yoga for the greatness in everyone! One Minute Laughter for World Peace at the Opening of 2020 Tokyo Olympics. 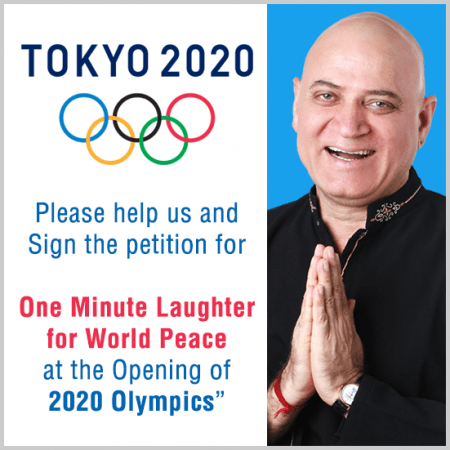 Laughter Yoga leaders from Japan have already had two successful meetings with the officials’ in charge of the opening ceremony in Tokyo. To support the petition please sign via link. 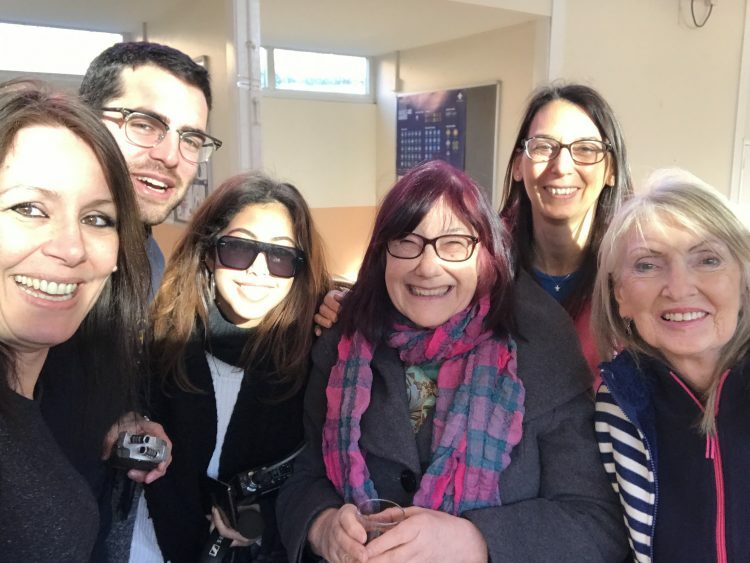 Together with some great Laughter Yoga Teachers I train individuals and teams all over the world to lead laughter sessions as Laughter Yoga Leaders or Laughter Yoga Teachers. You are always in good hands with approved Laughter Yoga Teachers! The Laughter Yoga Training is still certified with a standard international certificate issued by Laughter Yoga International and co-signed by your teacher(s). You can simply get your certificate and be ready but there are a few more requirements if you want the additional accreditation certificate. The training is accredited in the UK. 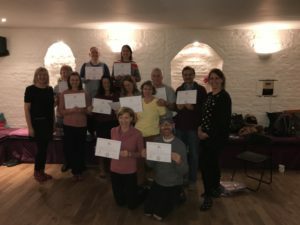 Getting the training accredited has been a big step in standardising the way we teach Laughter Yoga in the UK and how we bring the techniques to people as a tool approved for CPD purposes. 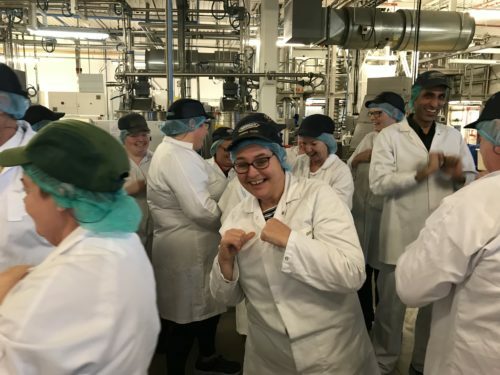 This is exciting news at a time when mental and physical health is top of the priority list for many workplaces and public sector organisations. 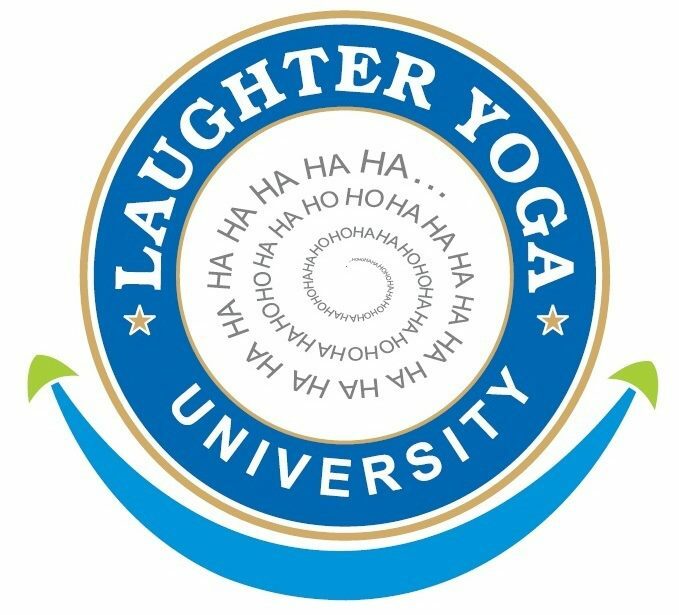 With accreditation we are taking Laughter Yoga to another level of natinowide approval within the education system. 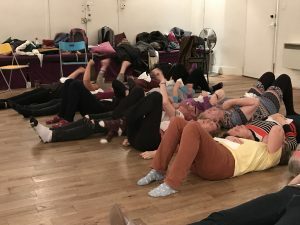 If you would like to train with me I would love to teach you and share my 16 years experience with you in London (together with Mel Bloch), St. Albans, Durham, Preston and your venue if you want to organise your own dates with your group of minimum 4 people, as well as one-on-one in Hemel Hempstead. 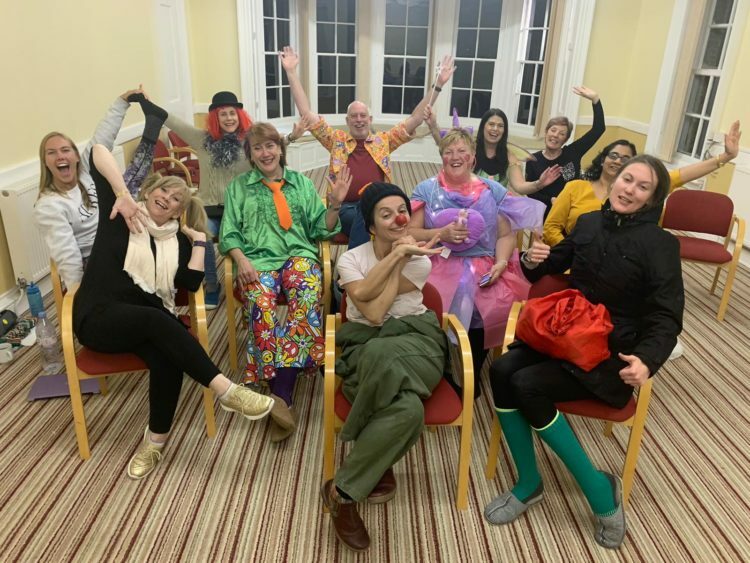 Whether you want to start your own Laughter Club or simply wish to bring more laughter into your own life, workplace, community or business, the training courses are fantastic and so useful in life and at work. Personal and professional development at its best! Fees for residential training are including accommodation. For more information about certified training courses please contact us via info@unitedmind.co.uk, phone 0800 1214 714, or mobile 07736 341 717. In February we introduced the Miracle Man and now it is time to get ready for the YES Man. 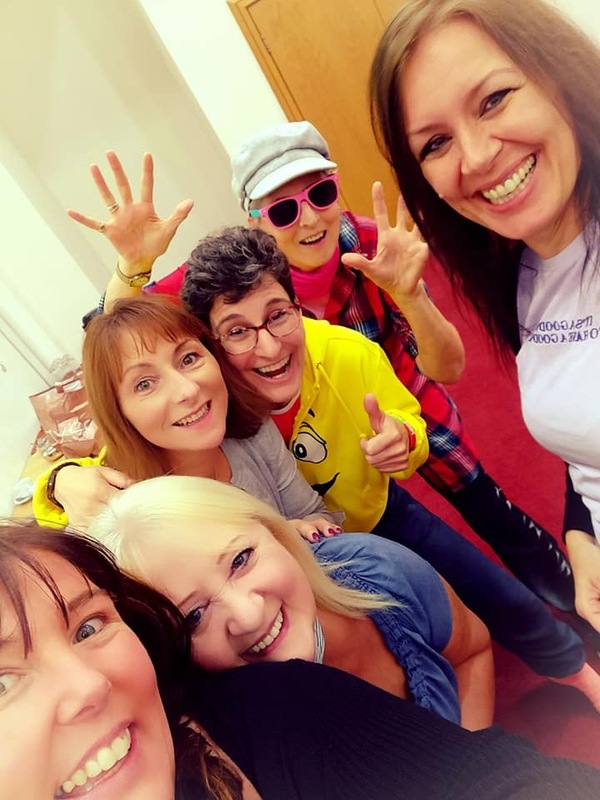 The Laughter Yoga 25th Anniversary and The Playing Human Conference in London on 5-7 June 2020 may seem a long time away but we have a good few awesome people to introduce beforehand. 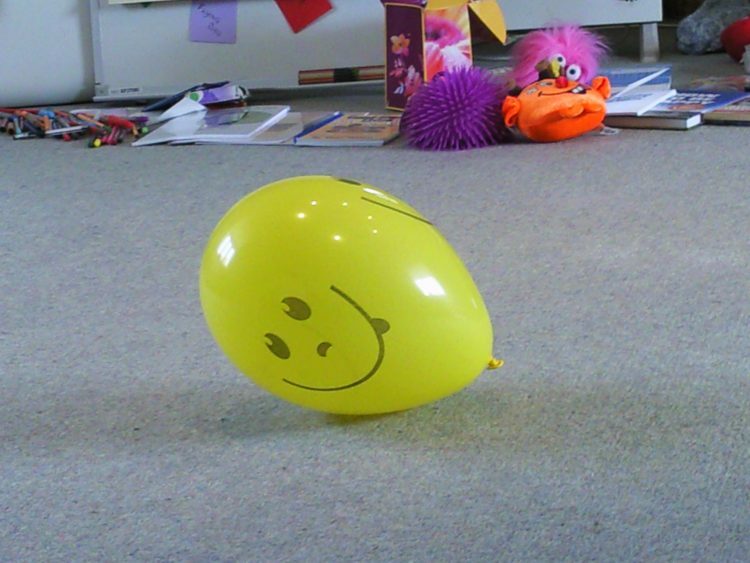 Please meet Dave Cornthwaite who was briefly introduced in our March Laughter News. Dave is a total Adventurer. 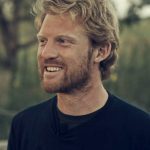 I have known a lot of adventurous people but being an Adventurer is completely different, is what I discovered through speaking with Dave and getting to know more about him through the web. 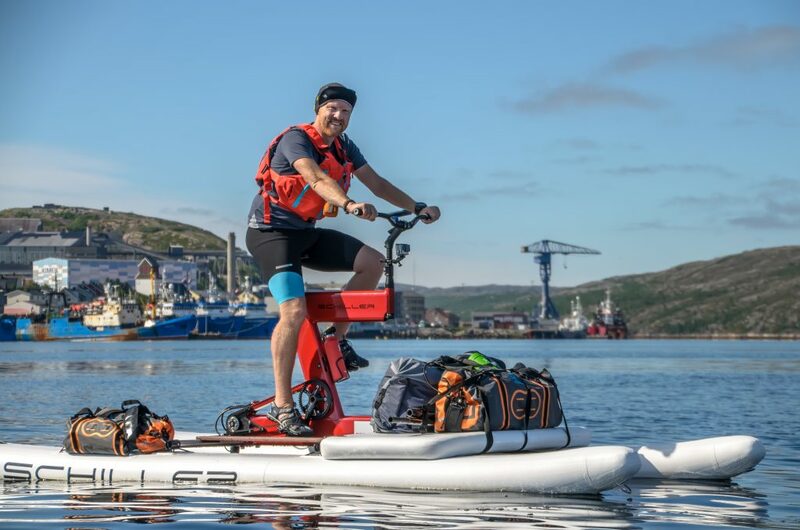 His first famous event was Expedition1000 where Dave has taken on adventures of over 1,000 miles each in 25 different non-motorised ways. However, Dave is about breaking barriers and building communities, and what better way than SayYesMore. Started in 2012 as a way to encourage people to do more of what they say they will and actually doing it. This project went on to become the Yestival where the Yestribe first came together in 2015. The Yestribe is a global community of people who love the outdoors and adventures that come with being outdoors. Get some ideas from Dave at The Playing Human Conference, nothing stops him from living life to the full. Surfing on top of life is his way and he will be sharing how we can all become more living and alive. Dave travels, speaks, writes, presents and films for a living. 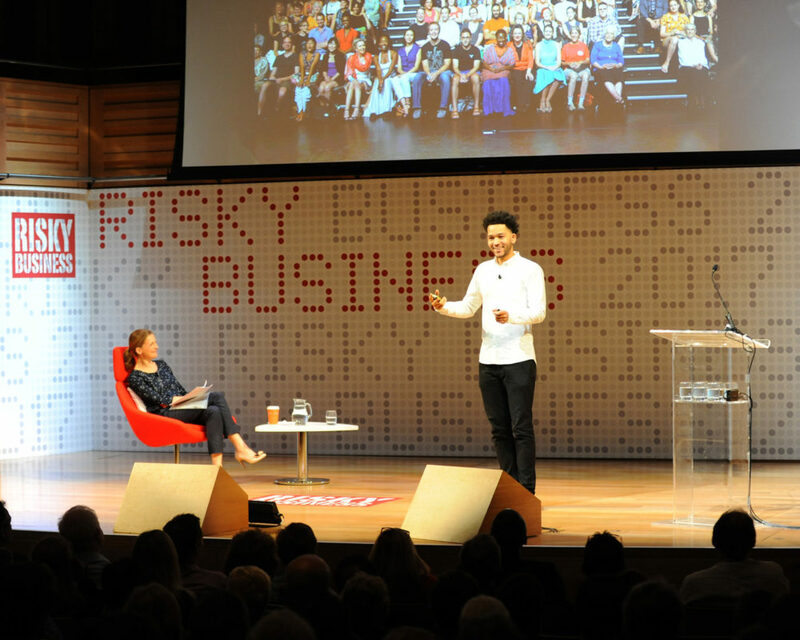 His keynote speech is a motivating and inspirational kick up the backside for anyone who ever wondered whether they were capable of doing more. I cannot wait to connect with the side of life that is often hidden from me because of serious commitments. Really looking forward to discovering the real adventure that is me and inside me. How about you? “If you are really really stuck just say ‘Yes’ a bit more and amazing things happen, doors will open. 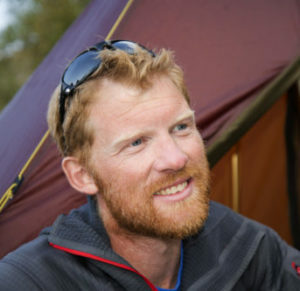 Life will always be better if you do that one”, Dave Cornthwaite. Please visit www.davecornthwaite.com to learn more about Dave. So what is all this hoohaa with accreditation? 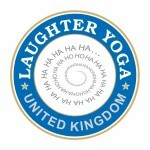 For many years I have been wanting the accreditation stamp for the Laughter Yoga Training courses in the UK. I already had Laughter Therapist Training accredited by an American organisation back in 2016 when I launched the course under the UnitedMind umbrella of training courses and now it has been accredited in the UK together with the Laughter Yoga training courses. 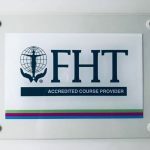 FHT (Federation of Holistic Therapists) is the awarding organisation and I am so thrilled this process is now complete. It has taken almost four months from first application and until the criteria for tutors and training have been met fully in order to comply. 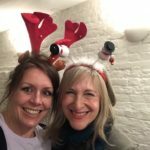 There are currently two Laughter Yoga Teacher who can teach Accredited Laughter Yoga Leader Training but the list will grow in the coming months. 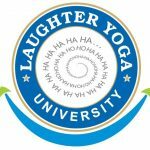 The requirements for the Accredited Laughter Yoga Training are first and foremost to comply with the training standards of delivery and assessment. First of all it puts a stamp of approval on graduates. Graduating from an accredited institution indicates that graduates are expected to be ready to practice at a certain level. Accreditation is about creating standards and best practices to follow. Ensuring the understanding and delivery is up to the level required to become a facilitator and tutor with professional attitude and skills. Accreditation is a means to building your reputation as a professional tutor and be known as a premier provider. This may be a real deal breaker for potential clients choosing your training and workshops. 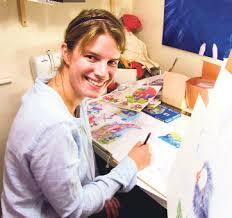 Knowing the services are being provided in a way that complies with high standards and professional conduct. 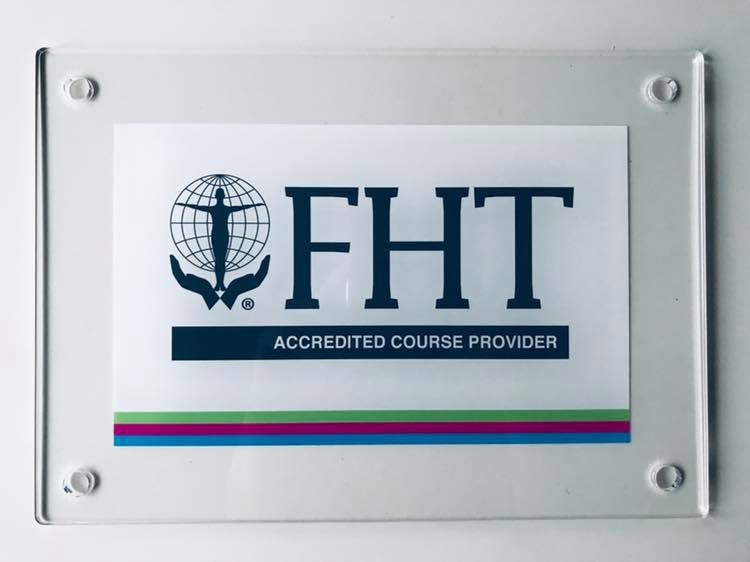 Accreditation protects the interests of students, the training provider themselves, as well as potential clients looking for professionals, as it ensures that the training offered have met and exceeded standards that were developed by experts in the field of the topic. Although accreditation does not ensure that every Laughter Therapist, Laughter Yoga Leader, Coach or Teacher completing on the programmes will become successful with Laughter Yoga and Laughter Therapy, it does guarantee that the graduate has demonstrated a certain set of skills and abilities which are defined and reflected in the accreditation criteria. Furthermore, in this world of alternative methods and practices the accreditation may indeed be the reason some choose the courses. 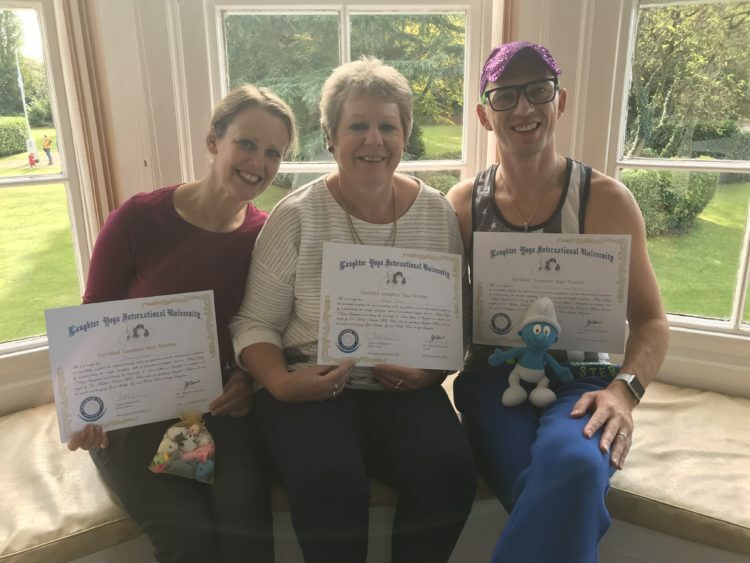 In any case, I am really chuffed that the Laughter Yoga Training courses are now accredited and provided by approved Laughter Yoga Teachers in the UK. 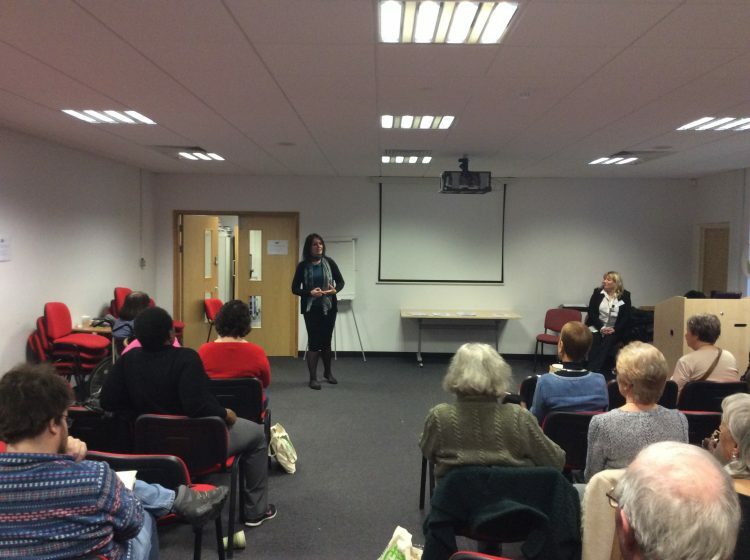 February has been wonderfully full of laughter workshops and training around the country. 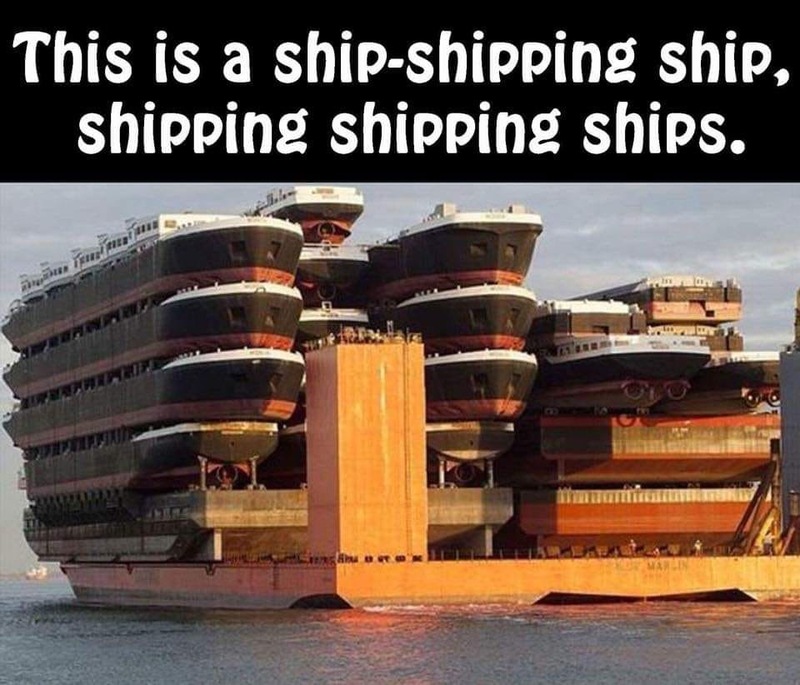 Even with a busy March ahead, we are always ready to discuss something involving laughter and no distance is too far by car, train, plane, foot bicycle or tricycle – even by a ship-shipping ship shipping shipping ships, I think! In March there is lots of laughter to be shared and with International Happiness Day we will be sharing a lot of laughter around the whole of the UK and London in workshops and training events. UnitedMind has the largest network of Laughter Yoga Partners in the UK and we always do our best to find a good day, time, and a great Laughter Facilitator. We also work with some outstanding partners who are second to none at organising corporate wellbeing events, ask us and they step in to plan and bring it all together for your team together with you. Laughter Yoga is a key that unlocks the true you – potentially! 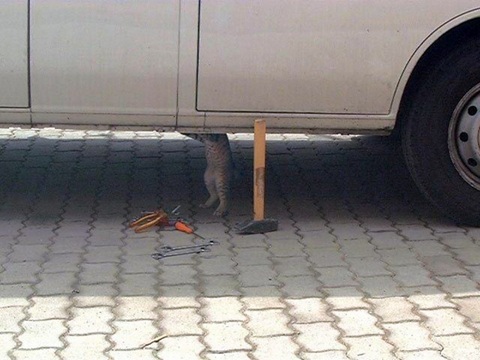 Everything comes at a price, or does it? Well, laughter brings you an abundance of prizes wihen you practice sustained laughter every day. Too often we let other people be the key to our laughter and wait for them to make us laugh, e.g. 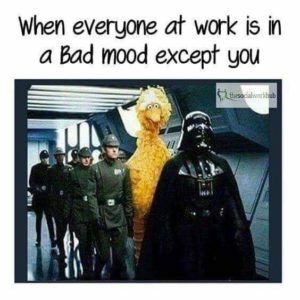 photo – which person are you, smile or frown? Laughter is too precious and important to leave to the change meeting which is why we take action and start each day with a laugh. Guess what! Your toes will start wiggling and your whole body creates a jiggle as you let the laughter rift through your body ripping your seriousness from your joyful personality. One quarter or even one sixth of an hour is all you need to kick up your own self to soaring heights. It seems like springtime so it must be close. Today (as I am writing this) I had a beautiful experience of weather laughs with my group of adults with learning disabilities, and undoubtedly the sunshine laughter hit all high notes. We have been waiting for the light. I wish you a healthy and positive outlook in life, work, and everywhere you go – from the bottom of my grateful heart. Thank you for your laughter! 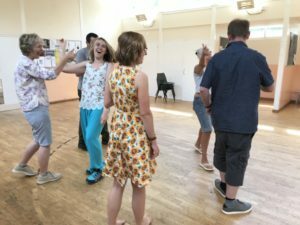 The Playing Human Conference – why not? A great line up is waiting to be introduced. We started in February when we introduced The Miracle Man, Ant Bennett, and this month you are in for another treat when we introduce a true YES-sayer. In 2012 Dave started sharing a personal motto – and it became a movement! SayYesMore had been a life-affirming message for many years for him and it was a reminder for Dave that small changes to lifestyle can in fact make a big difference as well as being a gentle push at times when it feels rather hopeless. SayYesMore is a growing community based on positive people supporting each other. There are over 10,000 people all over the world in the YesTribe community but it is more than just about saying yes, it is about helping each other create better, more positive lives. 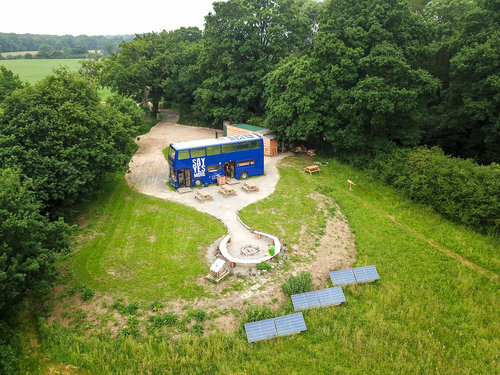 The YesTribe community holds annual festivals, the Yestival and have converted a double-decker bus into a community space where people are encouraged to spend more time in the countryside, at the same time as actively working towards their potential. 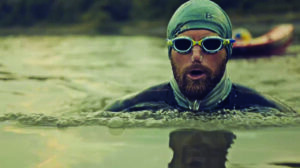 And there is more to Dave than SayYesMore, he is a real-life adventurer who steps into any challenge with positivity and passion. There is lots more to come! Read more about Dave on davecornthwaite.com. These truly motivational people are not only there talk, they are coming to inspire and move us all! In life we have more than one best friend and they fill differenct spaces and places in our hearts. My best friend just lost her best friend. Last year my other best friend lost her best friend. To cancer. To loose someone close, whether a friend, a family member, a colleague, is heart breaking and it happens all the time because it is a fact of life. When I went to share Laughter Yoga at Whittington NHS Macmillan at their 4th Macmillan Cancer Care Conference early in February I was looking forward to seeing faces I met the previous years. Some were not there anymore. Cancer is something we all want to beat and it just seems to take too long and in the meantime people fall away. There are also some amazing stories of survival and some of them come from the world of Laughter Yoga. 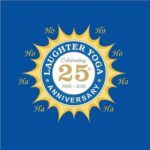 Although Laughter Yoga may not be the cure for all things, one thing is for sure, when we share laughter and practice Laughter Yoga daily we lower stress and we increase the levels of lymphocytes, cells that play a large role in defending our body against – and that can only be a good thing! 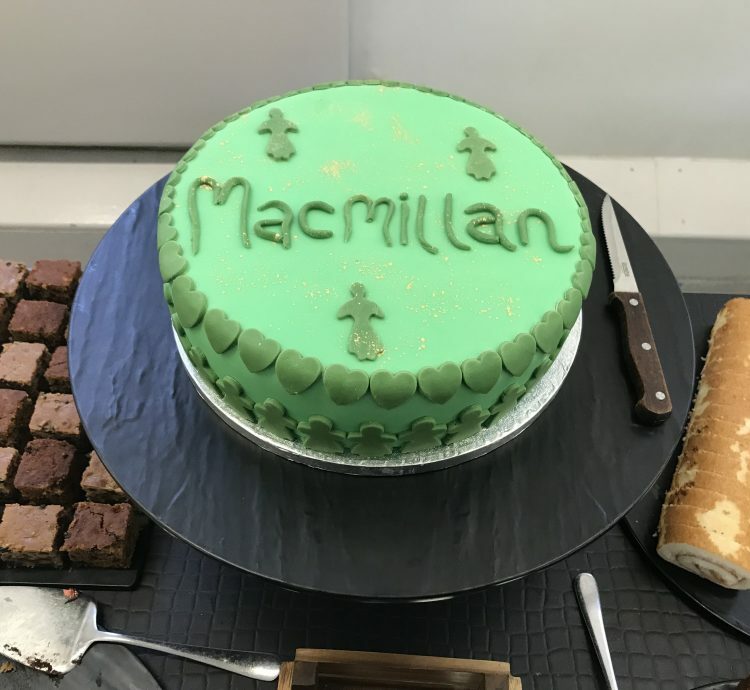 Macmillan is amazing and the members of the Whittington NHS Macmillan team will go to the end of the world to make their patients, carers, families, staff have a good experience amidst the not so great experience of living with cancer. Every year they put on an event that highlights the true sense of being more than just a number and a diagnosis. This is what the team is all about! We are not numbers and definitely not statistical data. At Whittington NHS Macmillan everyone is special! 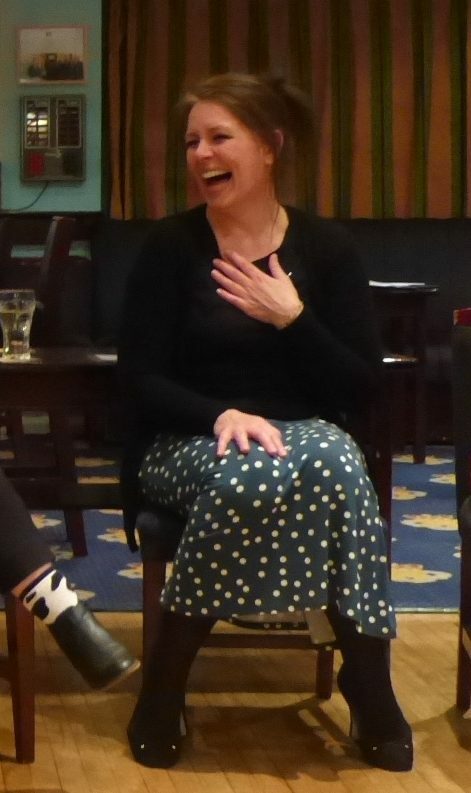 I love sharing Laughter Yoga with Macmillan because it does make a big difference even if it is only the tiniest of spark for embracing laugther in life that is ignited. 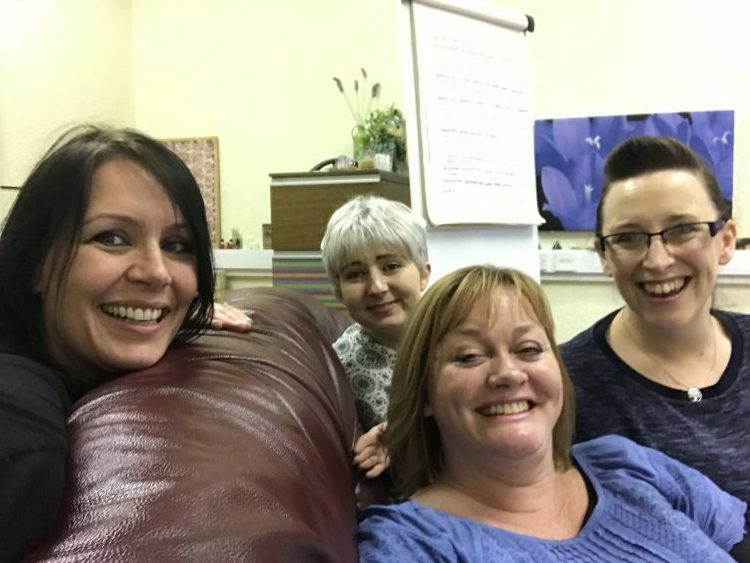 If you would like to know more about coping with life, stress management, team building, and other key factors in work and life, using Laughter Yoga and Laughter Therapy please contact me via email, lotte@unitedmind.co.uk or mobile 07736 341 717. The courses are booming with laughter-willing people and the Laughter Yoga Leader Training in London in March closed early for registrations. 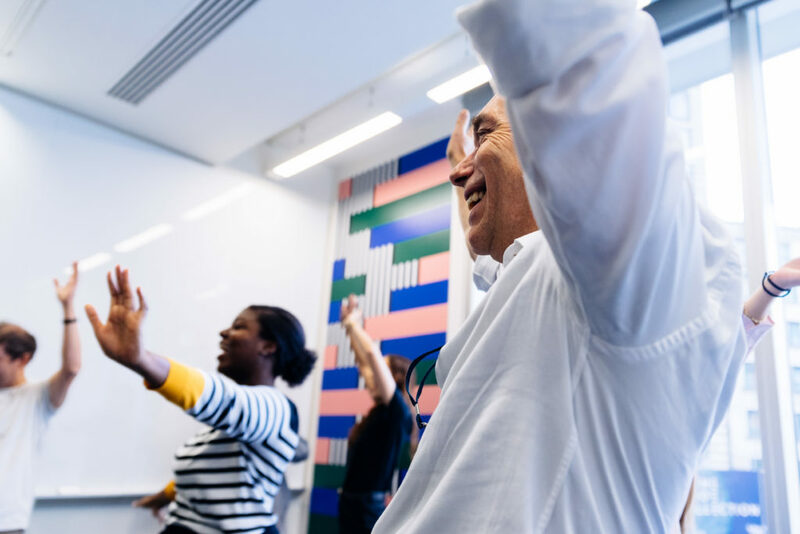 In all the years I have been teaching Laughter Yoga Leaders and Teachers there is no better sensation than watching the change in people from first entering the room until they leave the course in the afternoon of the final day. Even if it stops there. 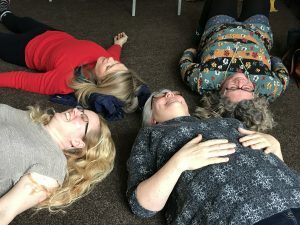 Even if the new Certified Laughter Yoga Leaders change their minds about sharing Laughter Yoga with others, even if they only came for themselves – to reconnect with their joy and their true laughter, that is okay. There is opportunity for adding skills to bring to work, to start your own business with new methods added, changing communities, workplaces, families, and more. However, re-igniting your joy and your laughter is the core of the training. 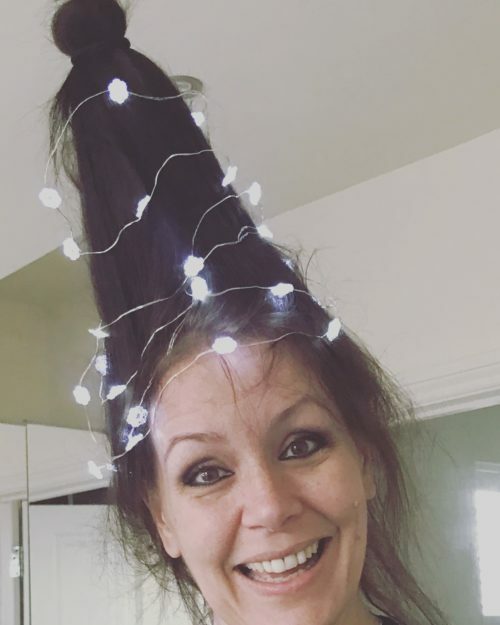 The rest is just ‘glitter on top’. There is no other word for it because it is mind-moving, fun, serious, challenging, and most of all it is triggering new ideas and visions. It has been a few years since the 1-day Certified Gibberish Coach training ran in North-East and now we are back. Read more about the training and make sure you book it on time www.unitedmind.co.uk/training/gibberish-coach. Special price is £75 and you can book in the UnitedMind Online Shop. 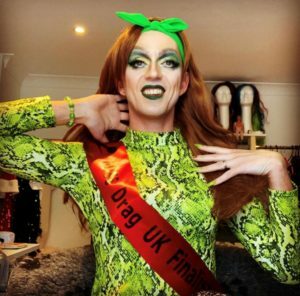 Miss Drag UK is happening in Folkestone on 10th March 2019. There will be Laughter Yoga Leaders and Teachers plus one Master Trainer to support Miss Dee Licious. Our very own Laughter Yoga Teacher, Mr dod, has been touring Norfolk to spread awareness of his special brand. If you cannot make it to Folkestone you may still be able to support the great cause of diversity. Laughter Yoga is all about inclusion! Visit Mr dod and Miss Dee and show your support on www.mrdodfitness.com. A reminder that we meet and share laughter in the 1st St Albans Scouts Wadley Hut in The Laughter Club International (UK) in St Albans on Sunday 3rd March at 1pm-2:30pm – please do join us! 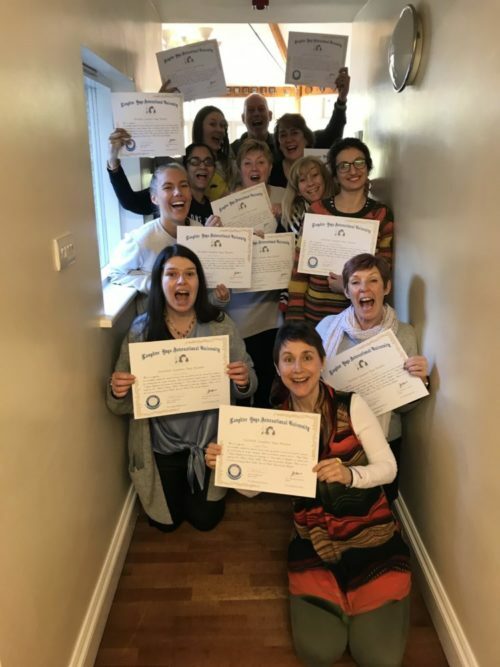 The Laughter Yoga Training is certified with an international certificate issued by Laughter Yoga International and co-signed by your teacher(s). 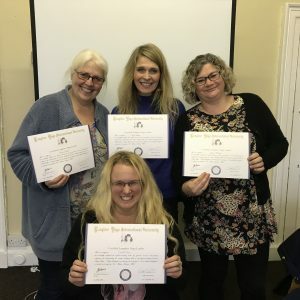 Getting the training accredited is a big step in standardising the way we teach Laughter Yoga in the UK and how we bring the techniques to people as a tool approved for CPD purposes. Watch this space, it is happening! The time has come for our keynote speakers to be introduced. 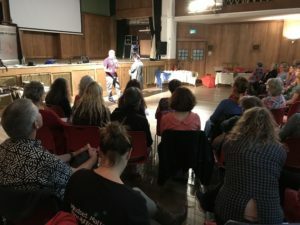 The Laughter Yoga 25th Anniversary and The Playing Human Conference in London on 5-7 June 2020 may seem a long time away but we have some amazing people to introduce in the meantime. Please meet Ant Bennett who was briefly introduced in our February Laughter News. Anthony’s life changed after he was diagnosed with life-threatening illnesses after a trip to EuroDisney. He needed to be resuscitated 12 times and was given a 10% chance of survival after returning from the school trip to Paris in 2006. Nothing shorter than a miracle happened when Ant made a full recovery that shocked medical experts. 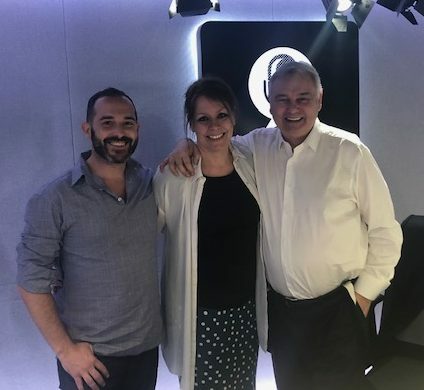 He went on to help secure a £7.5m charity partnership between Great Ormond Street Hospital Children’s Charity and Whitbread hotels and restaurants. 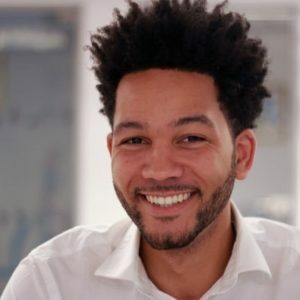 He spent 5 years working for the company, motivating over 20,000 team members around the UK, building engagement and leading multiple campaigns to support the charity partnership, and even smashed the original £7.5m target by raising £8.5m to help fund a new wing at the children’s hospital. Ant now works for himself as a full-time inspirational keynote speaker having held more than 200 sessions. His passion is helping people to unlock their full potential and finding a motivating focus point towards achieving long and short term goals. Please visit www.iamantbennett.com to learn more about Ant. Already a month into 2019 – scrap those unattainable resolutions and replace them with a new way of living and thinking so that you can stay happy. 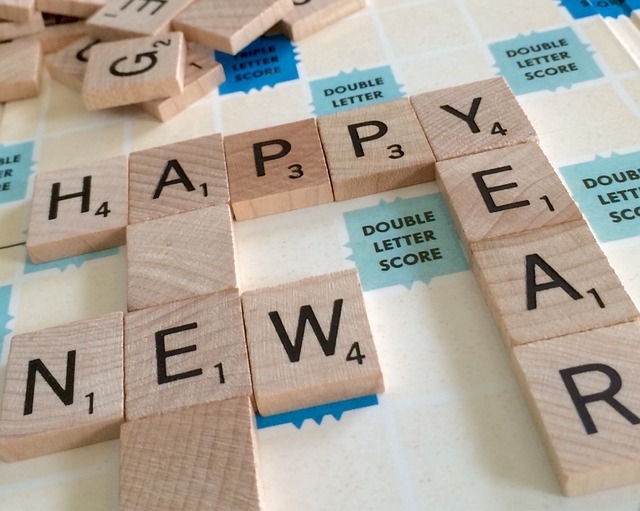 New Year’s Resolutions should be all about happiness rather than setting unrealistic expectations. Giving yourself goals that are unattainable with only add extra pressure and stress. 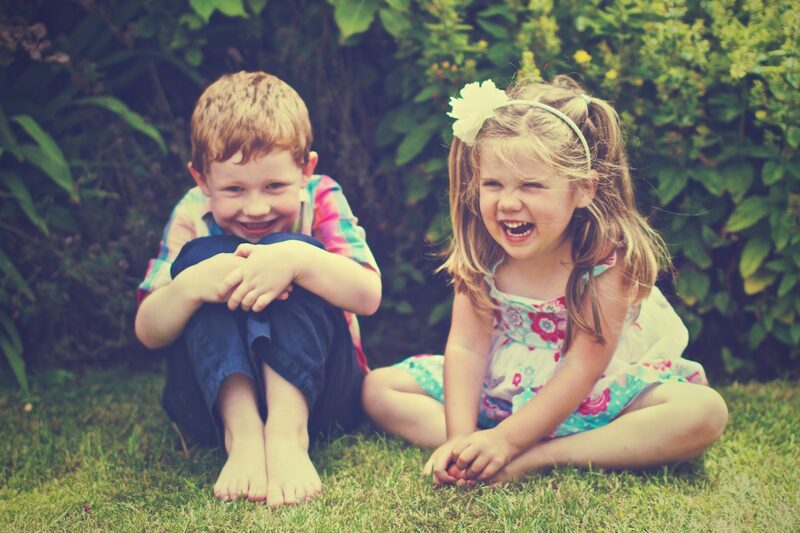 At UnitedMind we believe in the power of laughter and happiness when living a fulfilling life. Have a look at our top suggestions for introducing resolutions that work towards happier ways of living and being, both in body and mind. Many New Year’s Resolutions include losing weight or giving up alcohol and cigarettes, but although these are admirable goals they are often beyond reach. By working out a daily or weekly routine you can integrate certain things into your life which you are looking to achieve. If you want to drop a couple of pounds for example, try assigning specific days or times for exercise. This will give those goals more structure, making them far easier to reach. If you start to slip into sadness or become overwhelmed by stress it can be very hard to break out of this cycle. Of course we can’t all be happy 100% of the time but looking for happiness even in the littlest things can make a big impact. Living by the motto that you have to be miserable today in order to be happy tomorrow just doesn’t work. Spend time to evaluate your negative feelings but try your best to also see some positive. You may have had a bad day at work but remember what was good that day too. Making little adjustments to your attitude by performing random acts of kindness really does help to boost your own mood. All of these examples may seem insignificant but when you see how they matter to someone else you will share in this happiness. Stop checking your phone or social media accounts and make time to do the things you enjoy the most. Whether you love getting immersed in the world of a new book, are an enthusiastic painter, or find amusement in creating your own hit song, set aside time in each day to do these things. Everyone knows how much simpler it is to feel happy when doing what you enjoy. Even just half an hour spent in this way everyday can outweigh whatever negatives or stresses have burdened you during the day. Avoid those resolutions that set ridiculous demands to travel the world and visit every iconic landmark. Finances aside, travel can be hard to fit in around a schedule without just packing up and leaving completely. Introducing travel into your lifestyle doesn’t need to be completely tricky though. 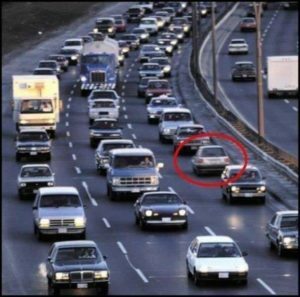 Look at what is possible and make plans to work from there. From planning to visit a local village at the weekend, to taking a train ride to the next biggest city, there is plenty of fun to be found in the UK. 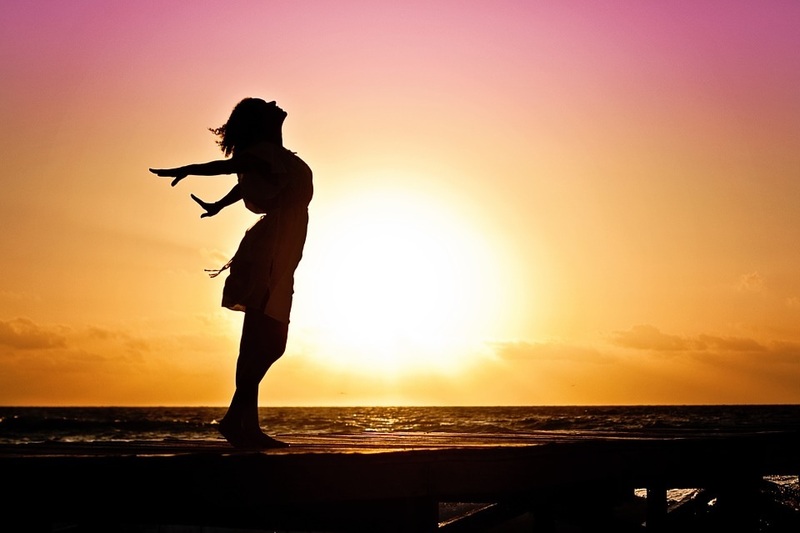 Find out more ways to stay happy and healthy by having a read through the rest of our blog. At UnitedMind our laughter yoga is an alternative therapy to help fight the struggles of stress. Contact us today to learn about our sessions and how we can help you. 2019 started out with getting the car road ready for a really busy time ahead in January, and we are not slowing down. 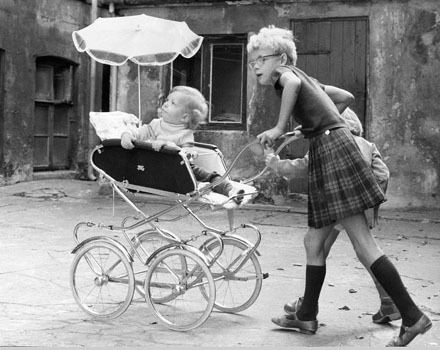 However, please remember we are always ready to discuss something involving laughter and no distance is too far by car, train, plane, foot or bicycle – even tricycle, I think! 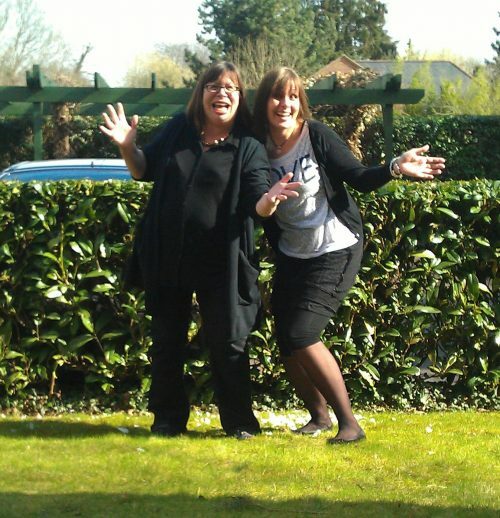 In February we will be sharing a lot of laughter around the whole of the UK and London in workshops and training events. No matter how booked we will always do our very best to find a good day, time, and/or a great Laughter Facilitator for you. No distance is too far for sharing laughter and transformation. From my first Laughter Yoga experience in January 2000 to starting running workshops in the field in 2003 and being the longest teaching Laughter Yoga Teacher in the UK starting teaching in 2007 there is not a moment I have not been treasuring when I look back. The change in the laughter and the delivery or workshops and training has developed as a natural process of getting to know laughter, do laughter and be laughter. Friendships and alliances form when we are all on the same page when it comes to encouraging positive change from within and in our shared world. Mental health becomes our mission as we combat the conditions faced by so many nowadays, and with Laughter Yoga we create way for solutions of the most nurturing kind. When facing adversity and life changes we become stronger when we know Laughter Yoga and benefit from the resourcefulness we find inside outselves when we practice it daily. Best of all, Laughter Yoga is non-religious, non-political, non-racial, pro-all-good-things-in-life, completely unifying! I wish you a healthy and positive outlook in life, work, and everywhere you go – from the bottom of my grateful heart. 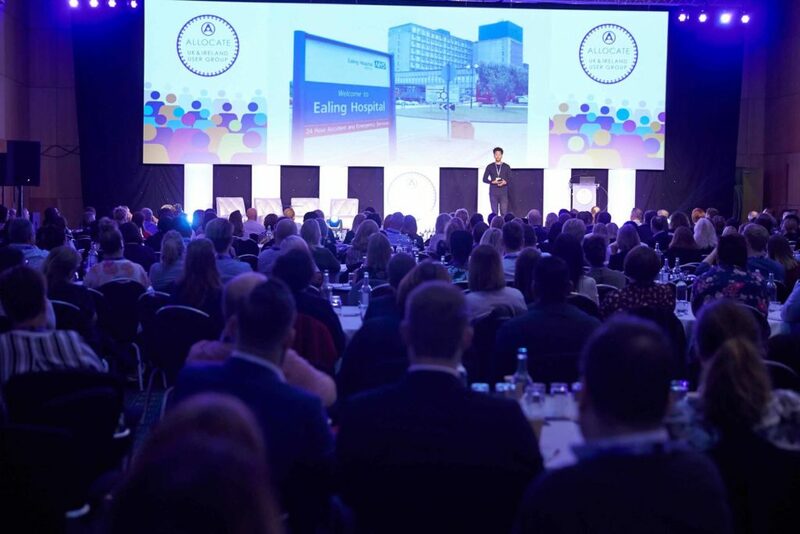 When I was considering repeating The Playing Human Conference before the first one ran in September 2018 I was determined to never again organise this type of event. 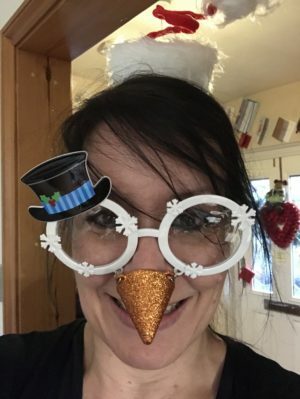 I teach and I run workshops – and I love it! My passion for creating the platform for positive transformation is delightfully uncovered in this work. However, I looked at the lit up faces when people entered Conway Hall to join others in learning ways to be more playful in their lives and at work and I made the decision there and then that there is a real need for coming together, meeting, sharing, experiencing new ideas for a changed world. A truly inspirational young man who is on a mission to change the outlook and the way of moving forward in life. Young people are inspired by his story and by his methods for moving forward in life – as are adults! Ant was given a 10% survival chance after he returned from a Paris school trip with 3 viral infections attacking him from within. He fought for his life and in recent years Anthony was voted one of the happiest people in the UK by the Independant on Sunday in their ‘Happy List’ for the work he carries out to help enrich the lives of others. Ant will be sharing his story and empower us to be our best selves when we are out sharing the magic of laughter, joy and positive change. Read more about Ant on anthonyinspires.com. These awesome and inspiring people are not only there talk, they are coming to share some fun and play with us all! 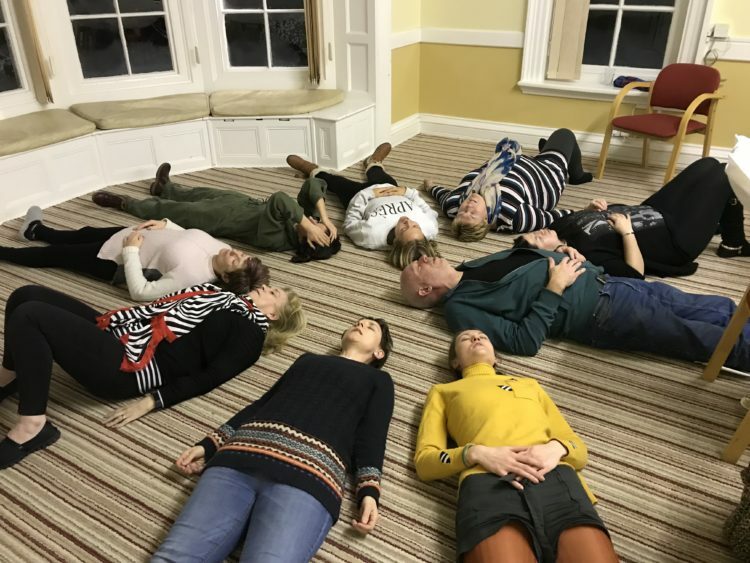 After an intense week of teaching the Certified Laughter Yoga Teacher Training at Felden Lodge in Hemel Hempstead I returned with many reflections and deep thoughts. Laughter Yoga is definitely a physical activity and we shared loads of moments of truly cathartic laughter, joy, and tears of all types. The laughter itself paved the way for deeper experiences to surface and the sharing of stories, the friendship, the creation of joy, the all sorts of awesome things in life, happened there – right under our noses for us to grab. 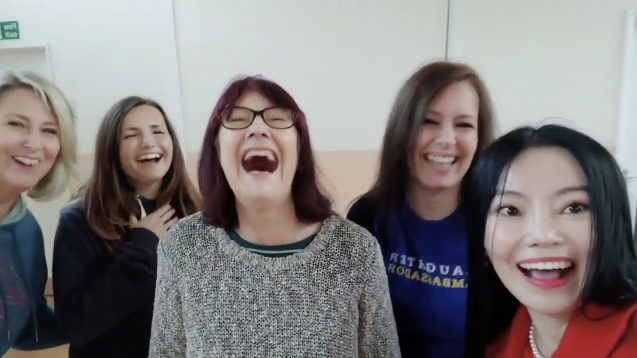 In the Laughter Yoga Leader Training friendships and connections are made but in the Laughter Yoga Teacher Training friendships and connections are deepened in a way that makes it seem as if we have all known each other longer than the five days. Every group is special and every training leaves me with lots to digest. Even if people do not stay in touch, there will still be friendships that have formed and whenever we come together there is understanding of why we don’t always remain in communication. 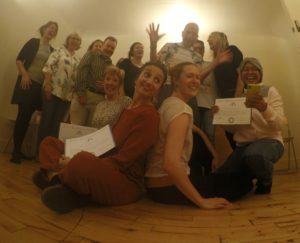 Whether people come to learn to become a Laughter Yoga Teacher or to get a fully and more complete understanding of all aspects of Laughter Yoga does not matter, the fact is that people come together to learn and to share. We all leave with is a cornucupia full to the brim with inspiration, knowledge, wisdom, and a real thirst for making it happen. This is personal and professional development at its grandest! There was a purity of intentions in the group in January 2019 that builds on all the past years’ groups, and together with all those who came before, they go on to live the vision they created on the final day of the training. A vision to change the world with kindness, smiles and laughter. 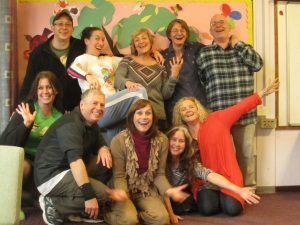 Laughter Yoga Teachers take Laughter Yoga one step further! Completing the training as Laughter Yoga Professional opens a whole new world of opportunity. Sometimes it can leave you shell shocked and almost paralysed with all the new ideas and instead of moving towards the vision and goals nothing really happens. When we do what we have always done, we get what we have always got. Take action or feed your mind on how to shift your gear up one notch on the Business Experts Programme. Special offer is £125, normal price is £275. If you are interested in our Business Experts Programme or in any of our training courses, workshops, training, coaching, keynotes, or other events, please contact us on email info@unitedmind.co.uk, or phone 0800 1214 714. 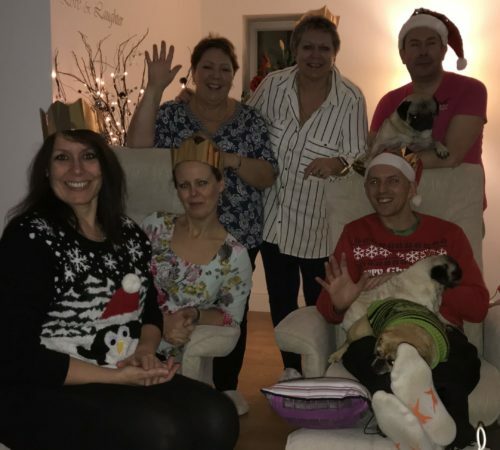 Kevin aka Mr dod trained as a Laughter Yoga Leader in December 2017 and has been running a Laughter Club in Norwich since February 2018. No one I know of in Norfolk is as out in the market with his brand as Mr dod! There is a whole and deep story behind Kevin and a heart that beats for laughter and fun, joy and happiness. Powerhoop is Mr dod’s fitness routine, Laughter Yoga the mental health resource, and since becoming a Laughter Yoga Teacher Training Mr dod has stepped up the drag game big time. 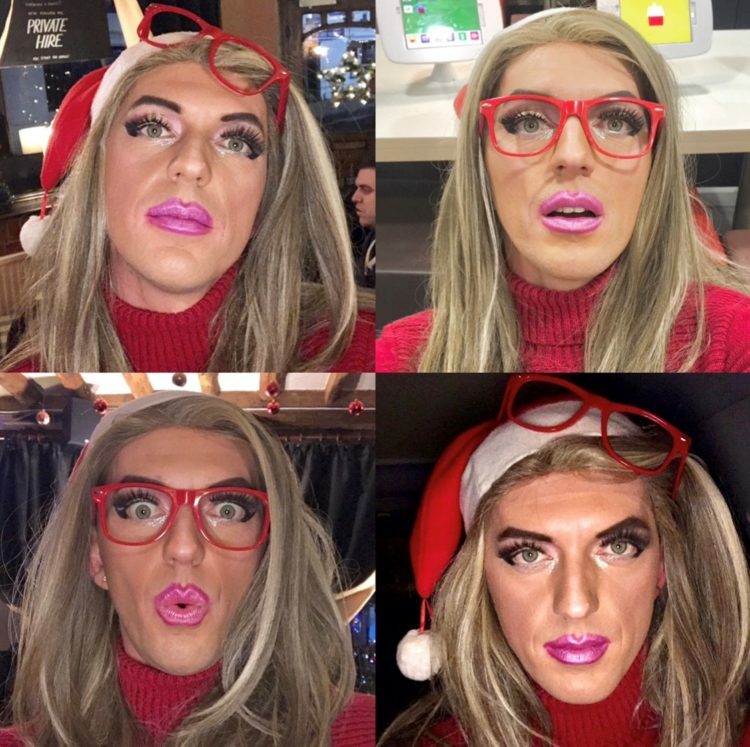 No longer simply Mr dod – now appearing everywhere as Miss Dee Licious. Miss Dee has reached the final stage of Miss Drag UK as Finalist and there is so much work to do on hair, make up, wardrobe and lip sync routine plus walking in heels. 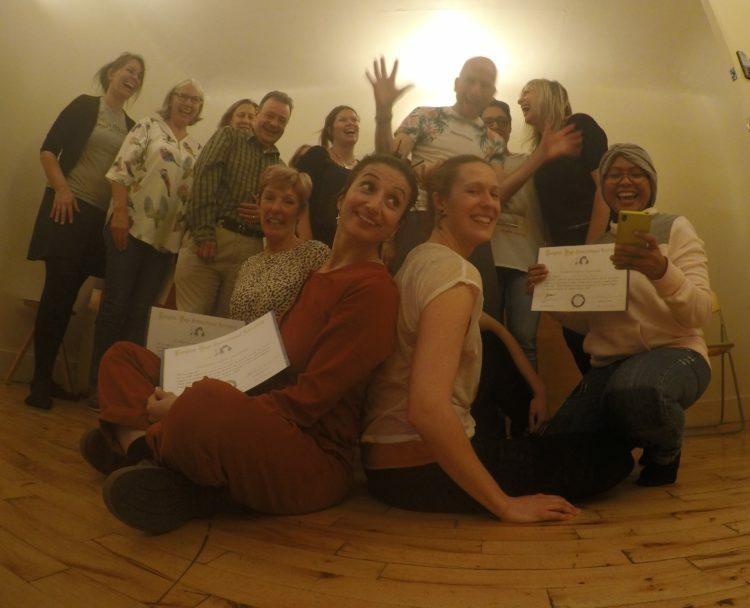 Laughter Yoga takes us one step further on fulfilling our dreams and Miss Dee is living proof that it only takes one step out of your comfort zone to kick off a ravine of events and happenstances. 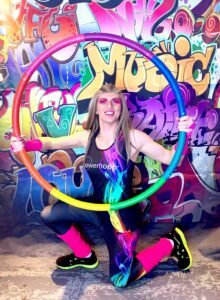 Thank you for making your lip sync debut at the Talent Night of Laughter Yoga Teacher Training in Hemel Hempestead in October-November 2018 – ace performance! A reminder that we meet and share laughter in the 1st St Albans Scouts Wadley Hut in The Laughter Club International (UK) in St Albans on Sunday 3rd February at 1pm-2:30pm – please do join us! So exciting that we were joined in January by Laughter Yoga Master Trainer from Korea, Suyeon Lee, who taught us other ways to laugh. If you would like to train with me I would love to teach you and share my 16 years experience with you in London (together with Mel Bloch), St Albans, Durham, Preston and your venue if you want to organise your own dates with your group of minimum 4 people, as well as one-on-one in Hemel Hempstead. 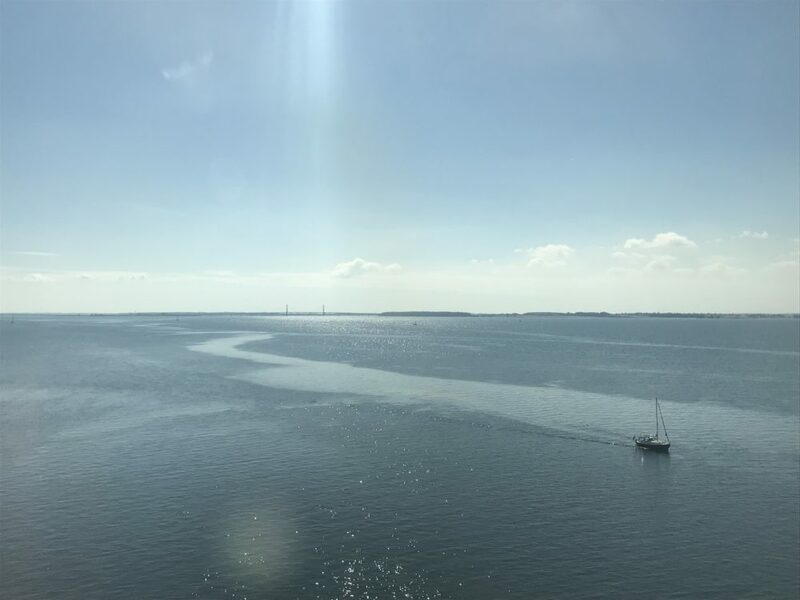 2019 is looking to start out real busy but remember we are always ready to discuss something involving laughter and no distance is too far by car, train, plane, bicycle or foot! 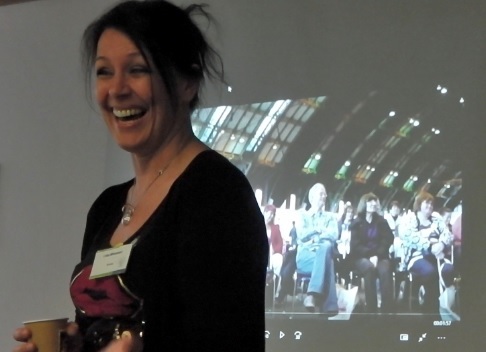 In January I will be sharing a lot of laughter around the whole of the UK and London in workshops and training events. 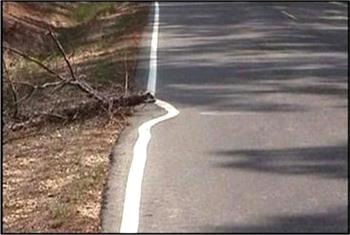 People who have fun get more done! As I was looking at my diary for 2019 this morning I glanced at the year we are just about to complete – with great gratitude. The rest of my time has been spent keeping 14 websites live and living, summing up accounts, replying to emails, taking calls, writing this newsletter, organising events, updating social media, and the odd free weekend now and then. I am not intending to brag but simply expressing my delight that I am able to do what I enjoy doing, taking great pride in my work and feeling hugely humbled by the trust. 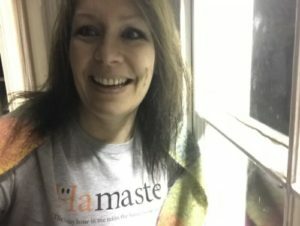 I love it – I love sharing Laughter Yoga and positive change! I would do even more when possible. No laughter-year without its share of challenges, though. However, Laughter Yoga is so embedded in me as a coping strategy that even those conflicts that caused tears and painful experiences turned into valuable lessons to grow from and build stronger relationships where possible. The joys and laughter exceed the challenges by far and this is where I find my thoughts go when I look back and pick out memories that shine. There is no laughter that is irritating, too loud, too strange, excessive, weird or anything else than a wonderful harmony of joyful sounds. Your sharing of your laughter over the years have brought healing and joy to me and more people that either of us can possibly imagine. I feel blessed to have had all of this going on, thank you all for being part of the venture and for making laughter happen in so many places. Practicing Laughter Yoga does not remove obstacles but instead make them more tolerable and easier to live with or even overcome. Without you, the organisations, companies, workplaces, business partners, individuals, students, colleagues, family and friends I would not have been sharing as much laughter as I have been in 2018 and since 2000. I am ready for a busy 2019 with even more to share. Wishing you health, happiness and abundance in all areas of life now and beyond the coming year. There was a comment following a corporate Workshop I recently held at the Q&A part at the end of the session about laughing at yourself. 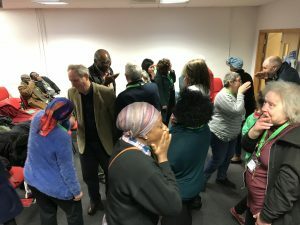 A popular laughter exercise is Laugh at Yourself and it was interesting to discuss how some can find it difficult to laugh at the self and what defines us. The point of the exercise is exactly that, to remove what we make things mean, to not laugh AT but to laugh as a coping tool. We say ‘laugh for no reason’ when in reality we do laugh for reasons which are life-related. So, instead someone made up that we laugh ‘unconditionally’ – SAME THING! 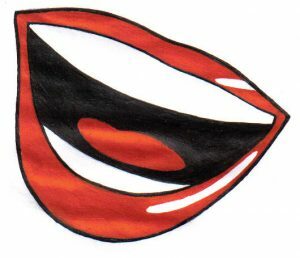 Then we ‘fake’ the laughter but someone couldn’t say that because no one wants ‘fake’ so we ‘simulate’ the laughter or ‘pretend’ – SAME THING AGAIN! Laughter is truth and honesty and all this pretending it is something or another makes me smile at the thought because these are exactly the things and issues we are addressing and attempting to remove or resolve with Laughter Yoga and the daily practice. As the saying goes, “life happens outside the comfort zone”. Laughter is a true blessing when shared with colleagues, friends and family just as much as when shared with strangers! Love Laughter Yoga and love life! Read a bit more about me and my laughter venture with UnitedMind Laughter Yoga, Lotte Mikkelsen, on www.lottemikkelsen.com. 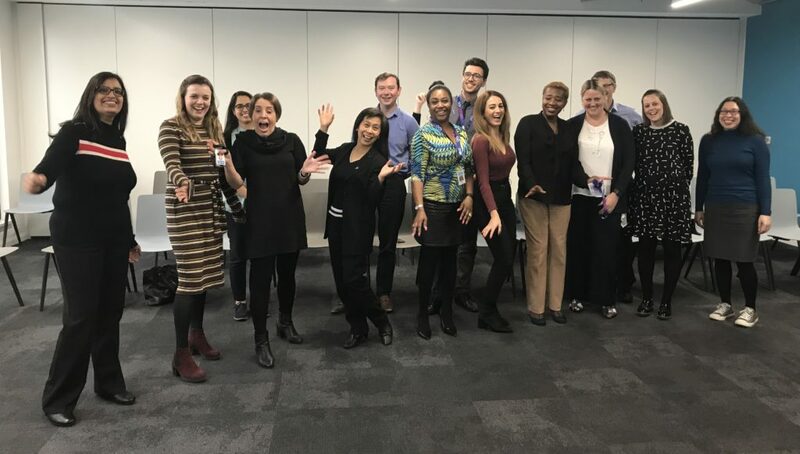 Together with colleagues and partners, as well as by myself, I provide long-term programmes to ensure the success of incorporating laughter as a professional statement and tool for creating results, both personally and professionally. If you are interested in information about our corporate services please contact us on info@unitedmind.co.uk, phone 0800 1214 714 or mobile 07736 341 717. Why The Playing Human Conference happens NOW! 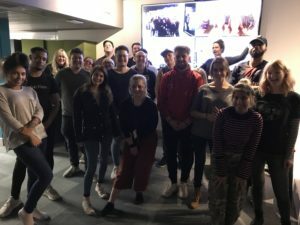 You may have read a bit about The first Playing Human Conference which was held in September 2018. Perhaps even the story of why it is important for us now. 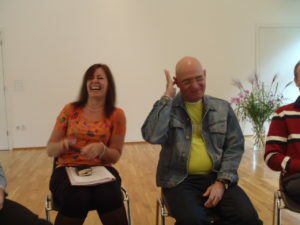 You can revisit the article on www.unitedmind.co.uk/laughter-conference/why-the-playing-human-conference-is-key/. 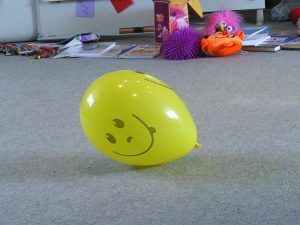 People are stressed to their max capacity and as such keep forgetting about the important things in life including being playful. There are many days where seriousness creeps in, even when attending a conference like The Playing Human Conference. 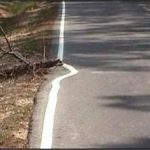 However, the event provides methods for adapting and adopting skills to remain playful and funloving – even when life throws serious stuff in our faces. When you commit to the dates, they become real as they enter your diary. Often we delay making the decision and suddenly the event is over or seats have sold out, or our diary has become full of other events and commitments. When you decide for anything it starts happening – NOW! Why not save a bit of money, like £50, and make sure you save the dates? 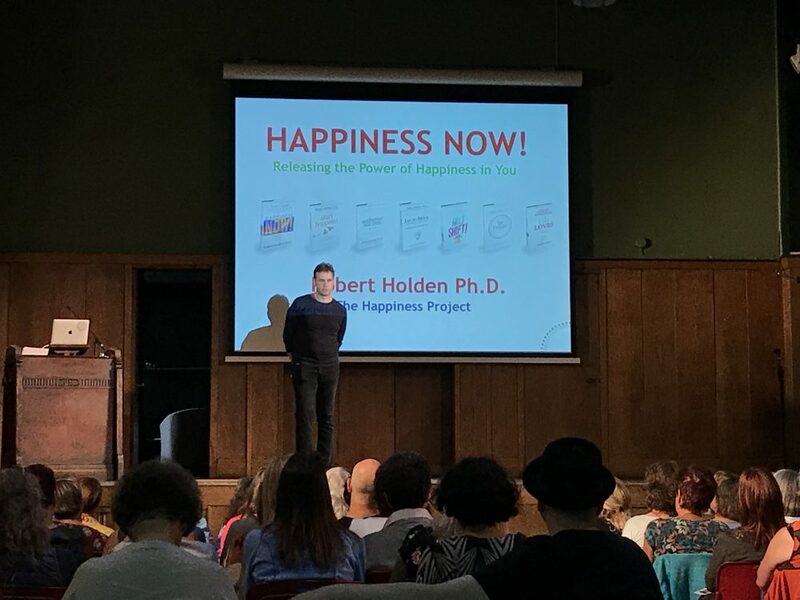 Three days of celebrating Laughter Yoga 25th Anniversary with Founders, Dr and Mrs Kataria, followed by The Playing Human Conference with speakers who are joining us to play and to share their serious stories of what brought them to curiosity and courage in life – £100 right now. Did you notice who is coming? These awesome and inspiring people are not only there to tell a story, they are coming to share some fun and play with us all! 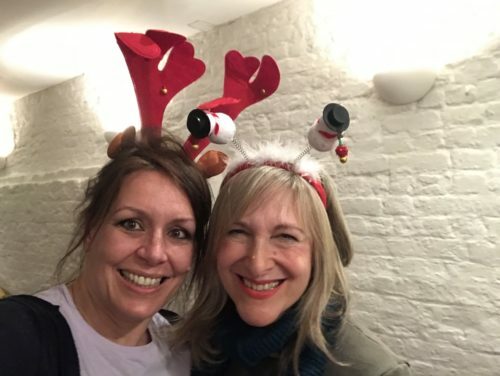 In December we welcomed new Laughter Yoga Leaders and shared laughter with companies and organisations in London and South West England and in Denmark. What a great learning curve for us all, both facilitator and participants. Whenever I am invited or booked to run a workshop or training I learn as I teach. There is such tremendous beauty in the change people experience when they are willing to be willing to explore something that may feel different than what we usually engage ourselves in on a daily basis. I can’t thank you enough for the fantastic session you ran for me with my team. The feedback, comments and discussions I have had since highlight to me that people found it informative, useful and, frankly, brilliant. I will confess, I was a bit nervous about it myself, but your professionalism, knowledge, skills and passion shone thorough. 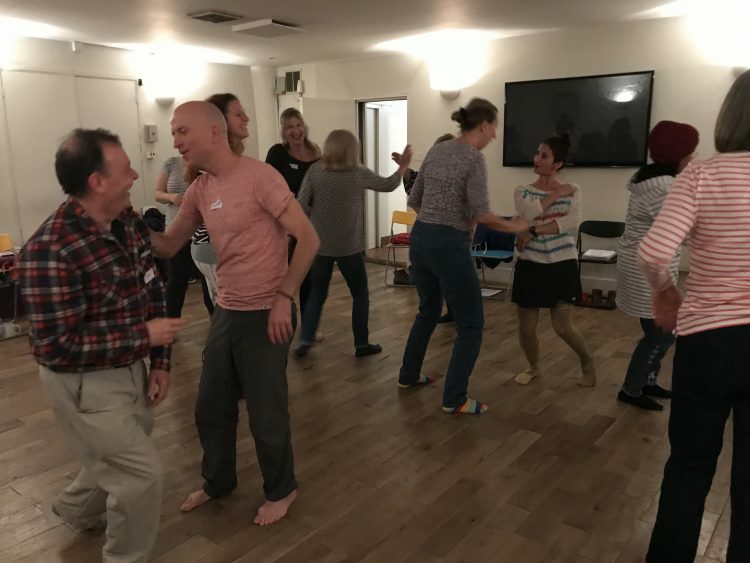 It was amazing to watch the transformation of people in the room – it was a physical, real thing to witness – as they gained the confidence to move away from the walls and join in. Then at the end, I think everyone got the point and it had a significant impact on many in the room. A reminder that we meet and share laughter in the 1st St Albans Scouts Wadley Hut in The Laughter Club International (UK) in St Albans on Sunday 6th January at 1pm-2:30pm – please do join us! 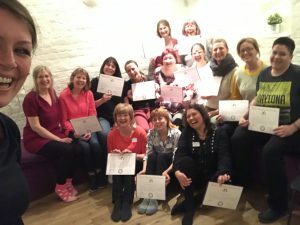 Getting the training accredited is a big step in standardising the way we teach Laughter Yoga in the UK and bring the techniques to people as a tool approved for CPD purposes.